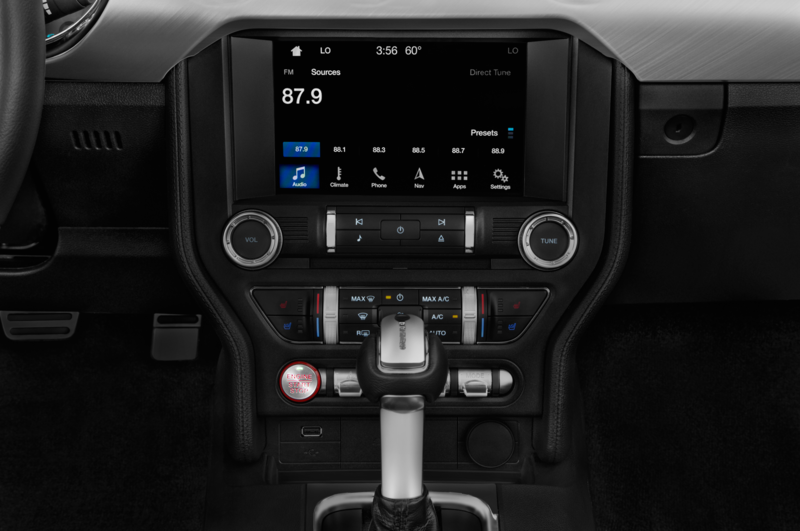 The 2018 SEMA Show is right around the corner, and as usual, Ford plans to have a wide variety of modified vehicles on display. 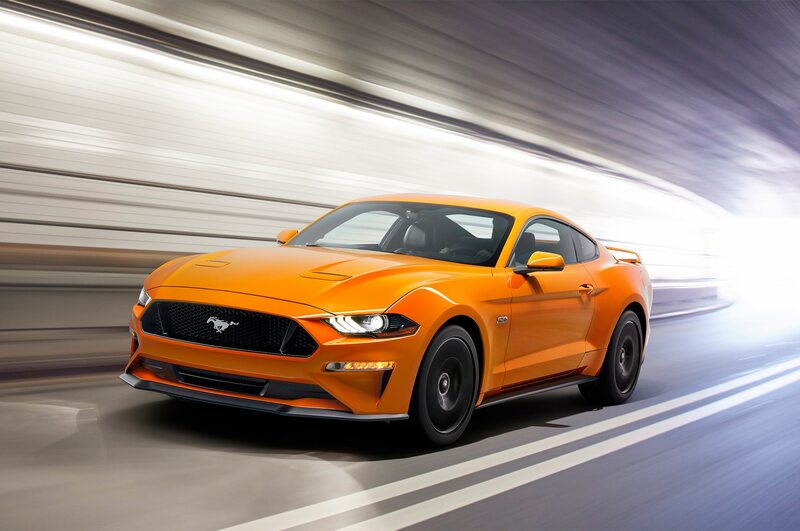 This year, Ford says its booth will be filled with more than 50 cars, trucks, and SUVs, so these first five modified Mustangs announced this week are just the beginning. 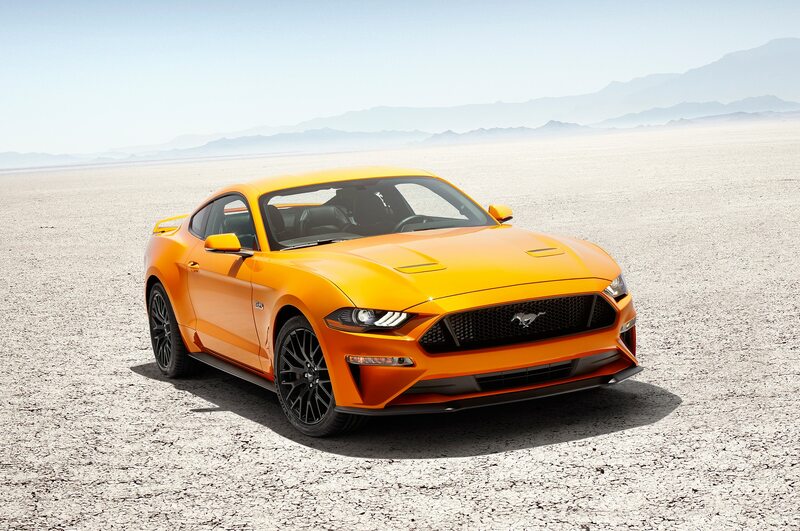 Starting with a 2018 Ford Mustang GT coupe, dealership and custom shop Galpin Auto Sports went for a road racer look with a custom wide-body kit, front splitter, rear diffuser, and 20-inch wheels wrapped in Toyo R888-R competition rubber. 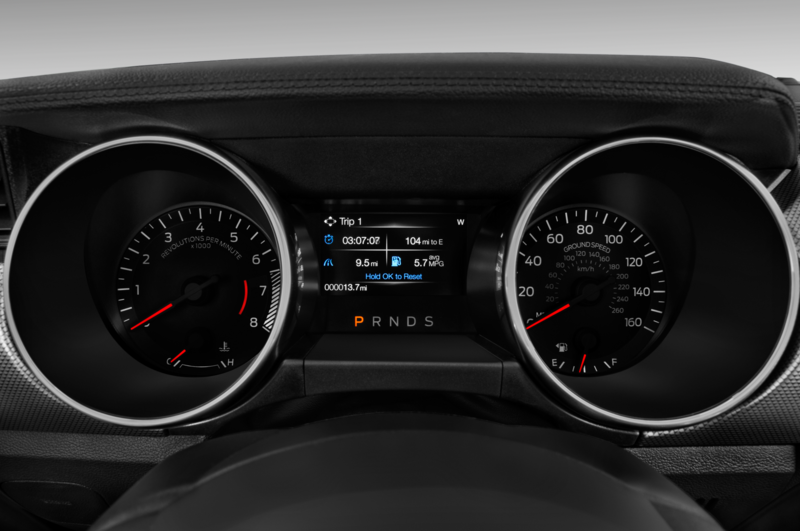 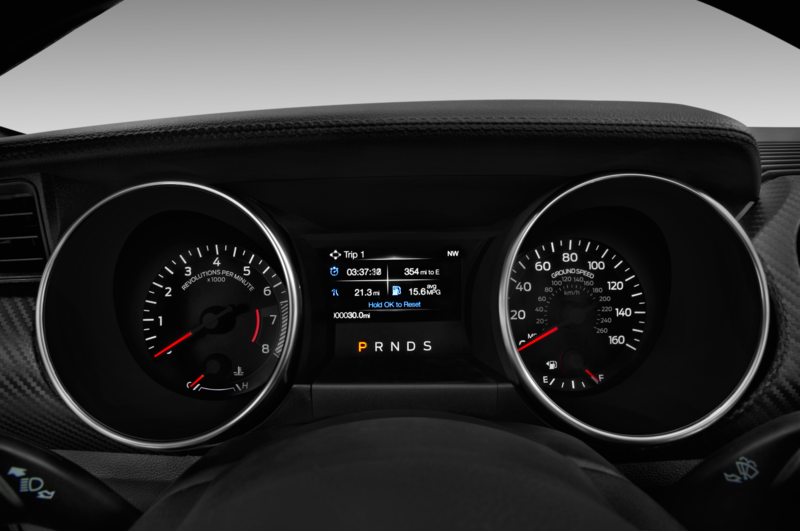 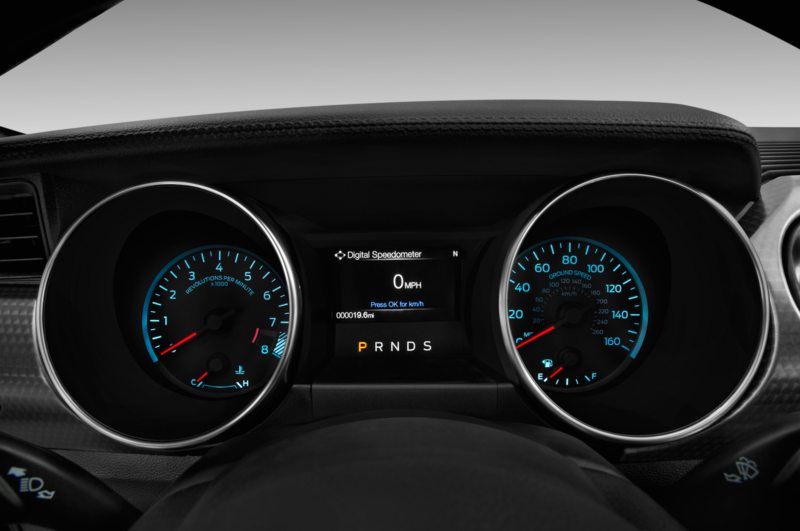 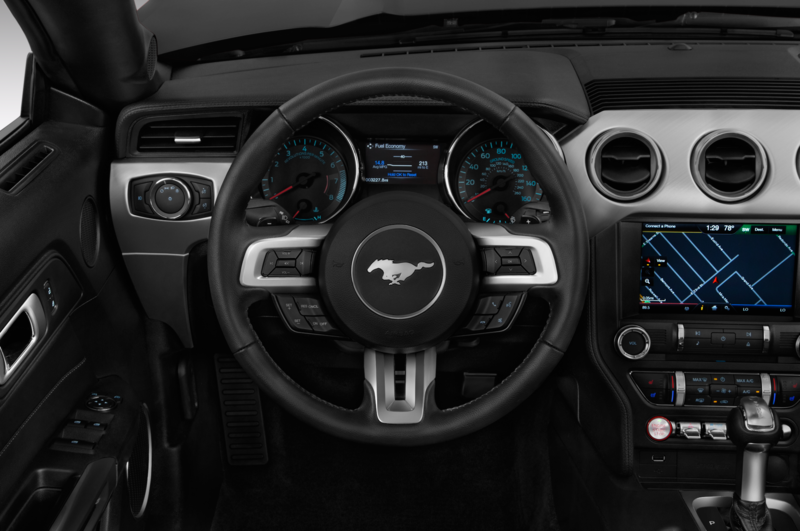 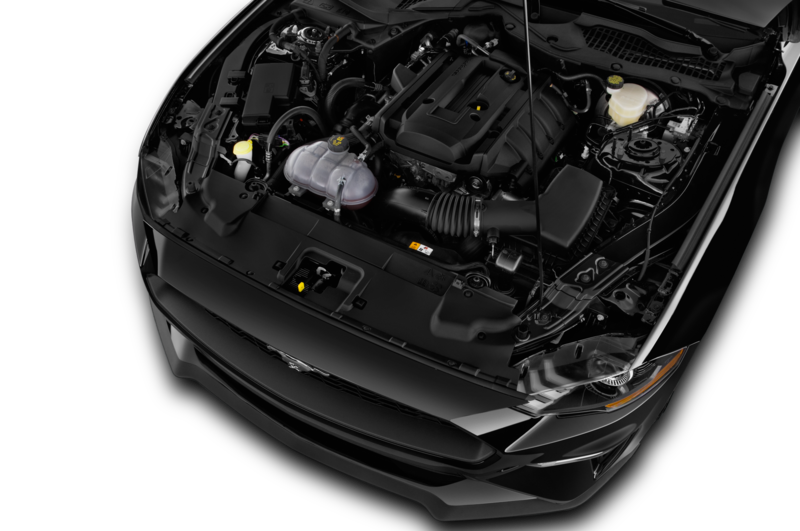 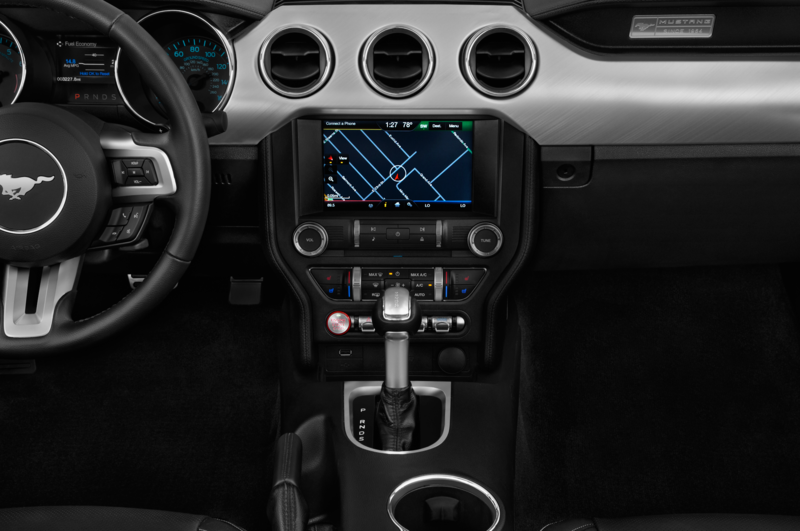 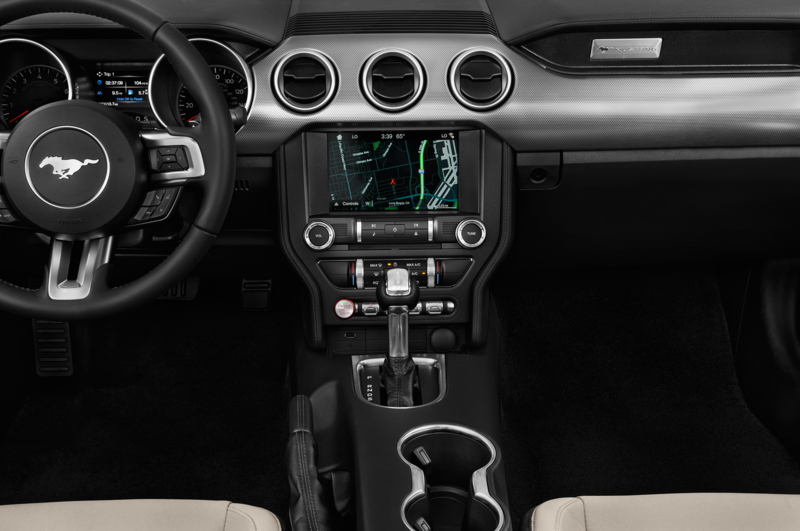 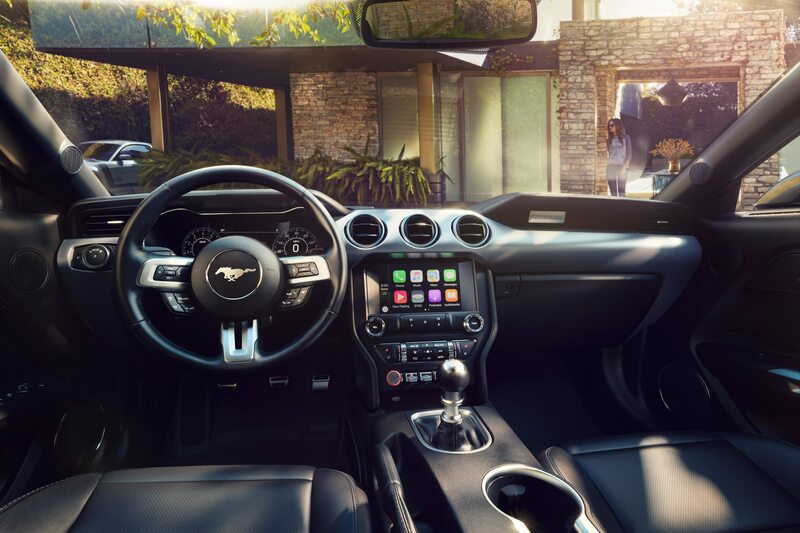 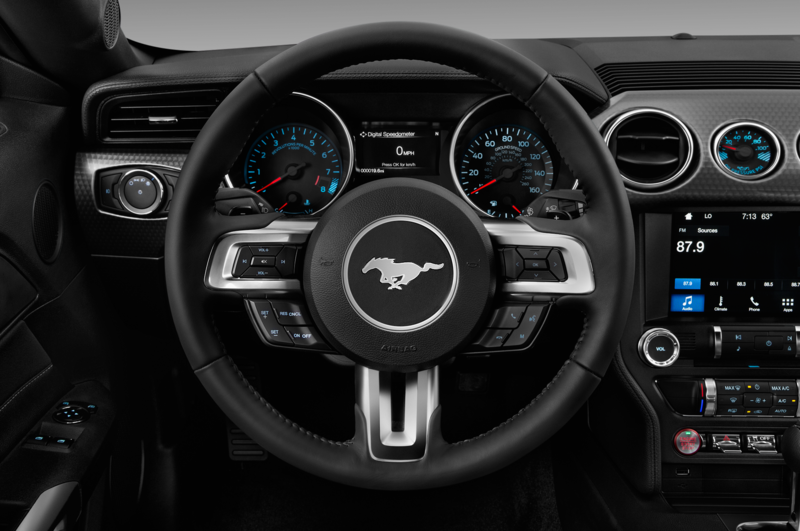 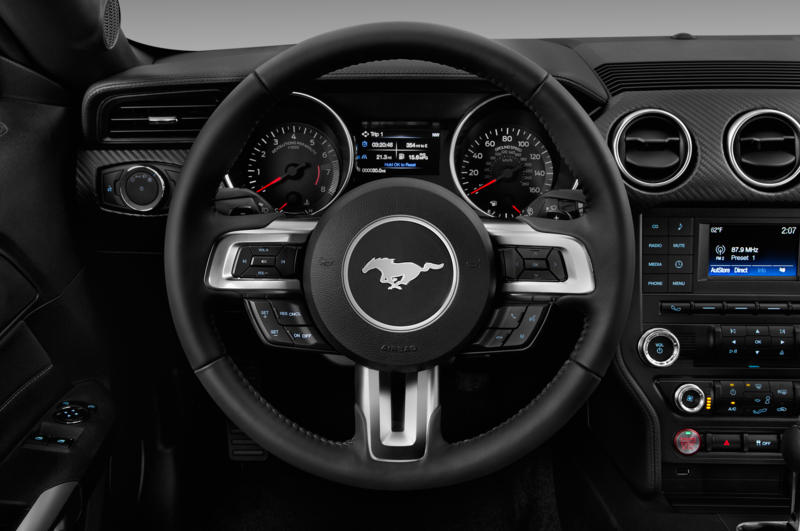 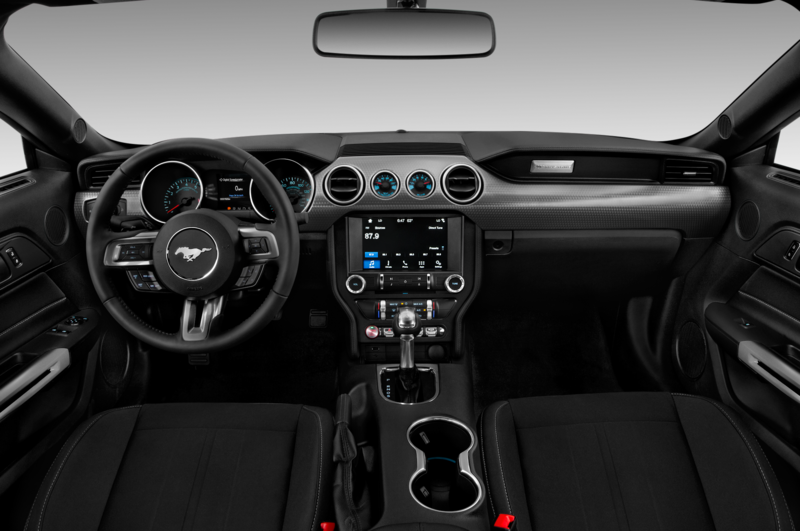 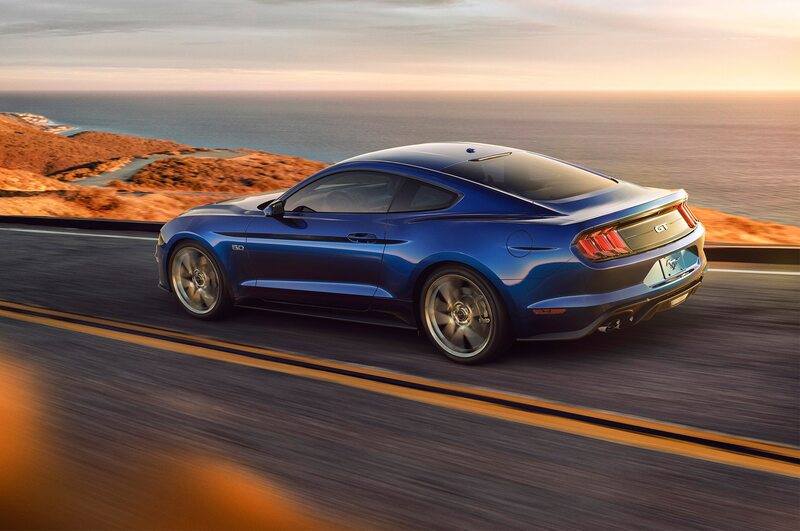 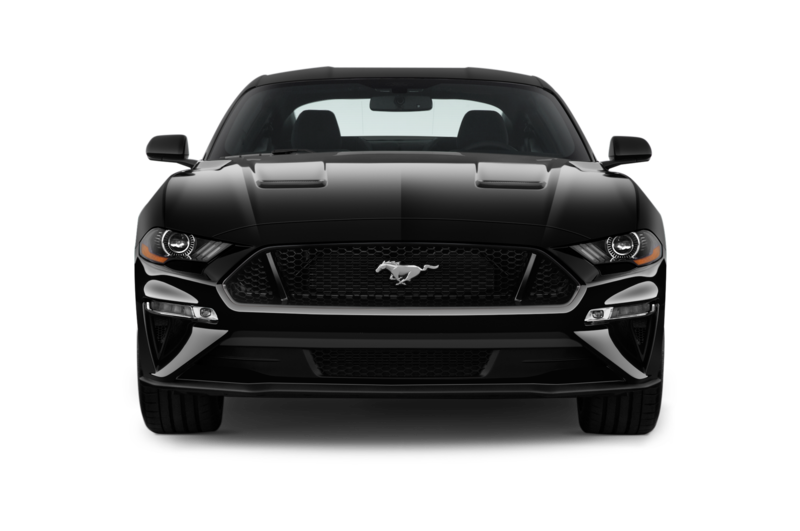 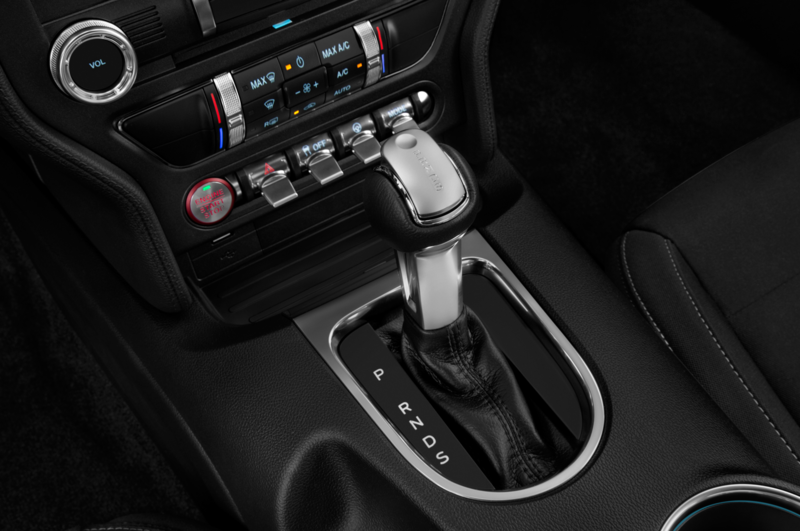 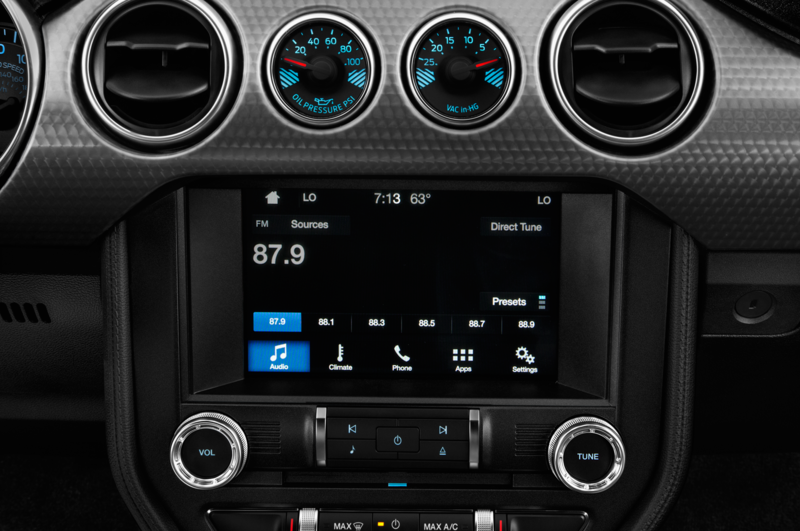 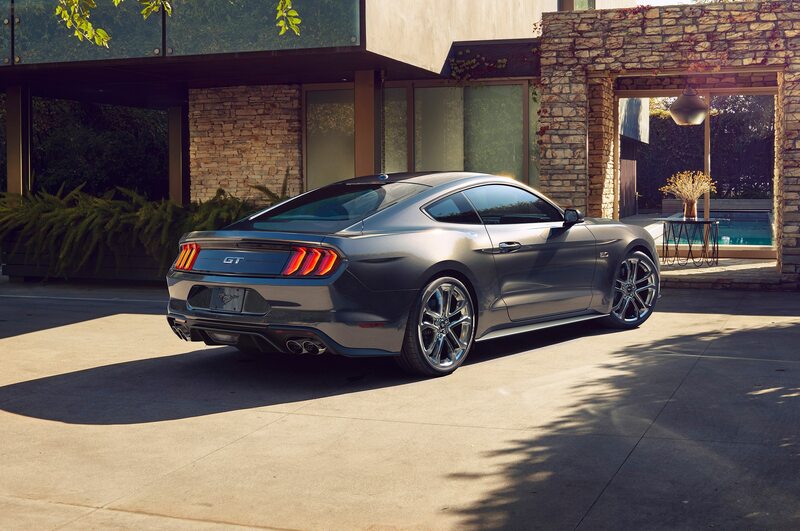 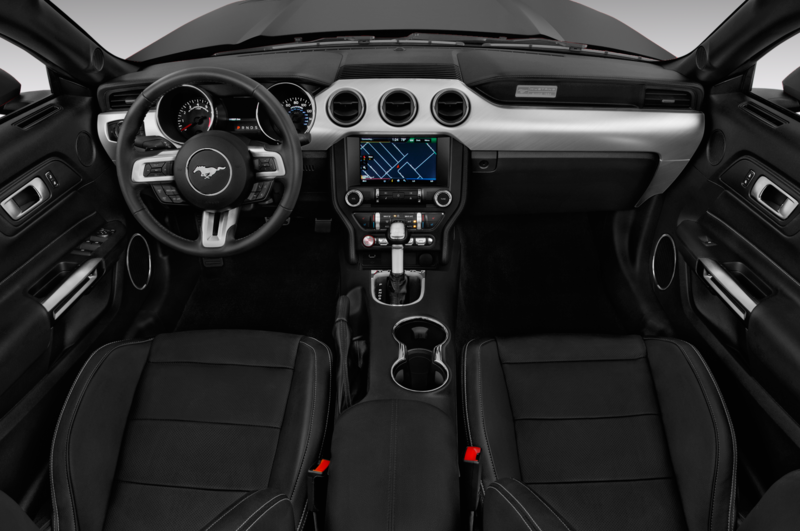 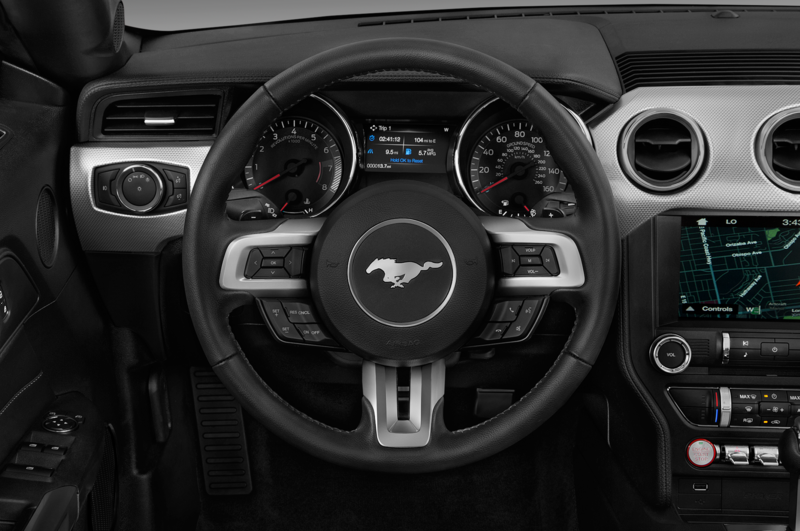 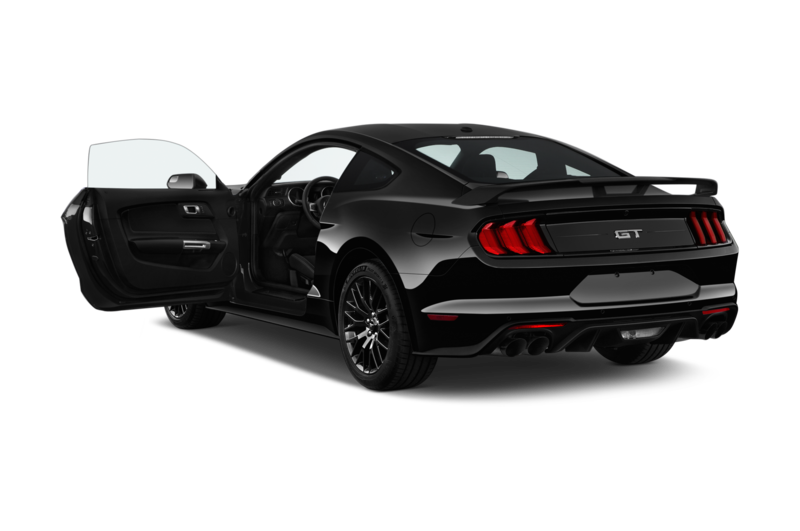 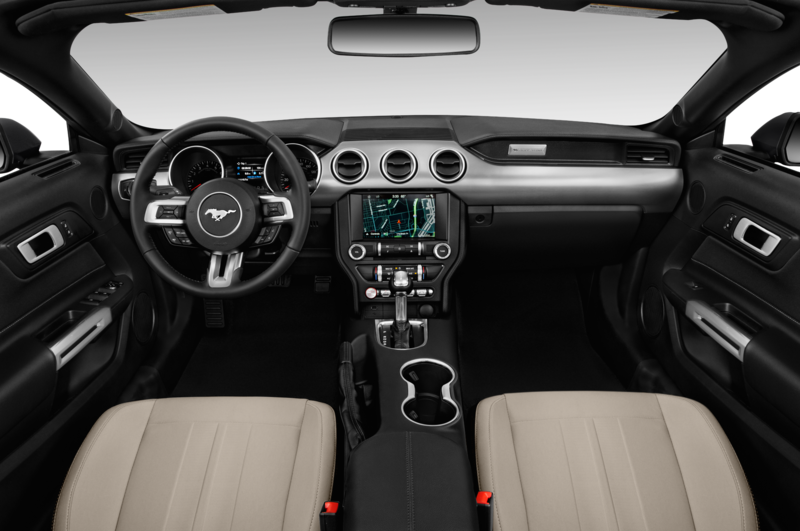 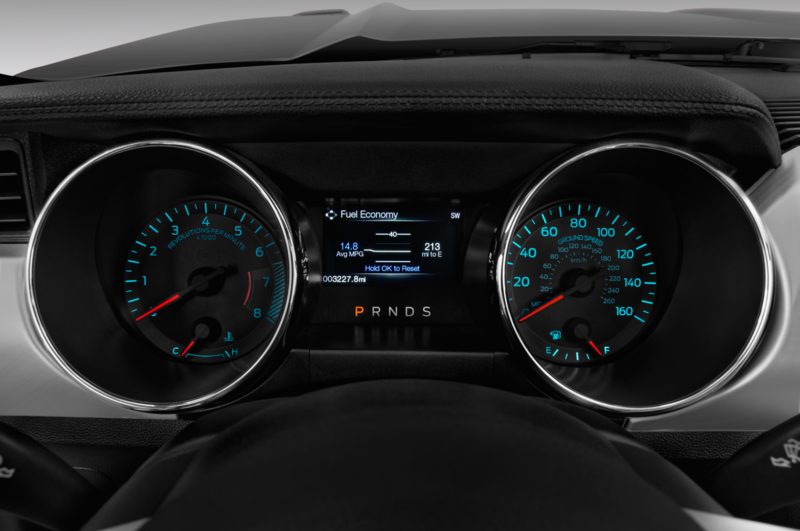 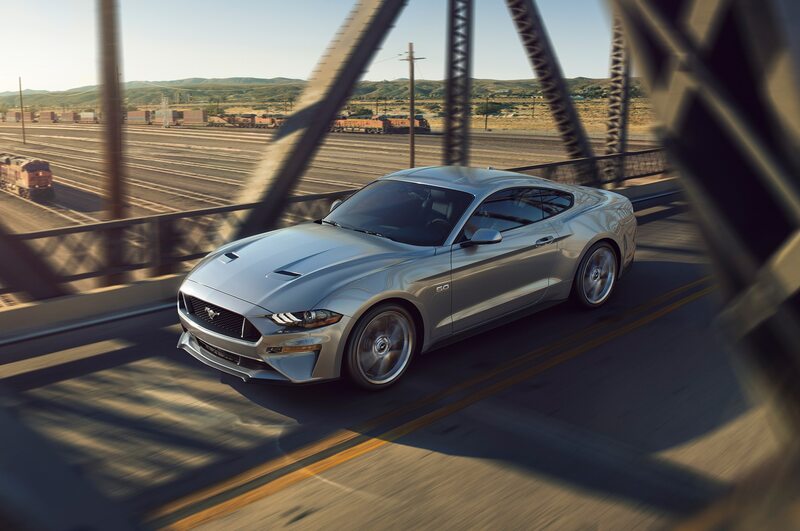 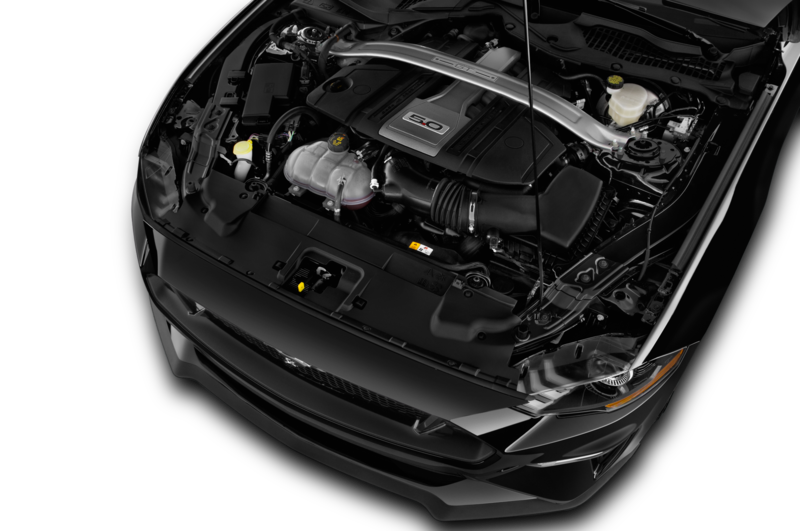 The 5.0-liter Coyote V-8 receives a Ford Performance/Roush supercharger and cat-back exhaust, and the six-speed manual transmission benefits from a Ford Performance short-throw shifter. 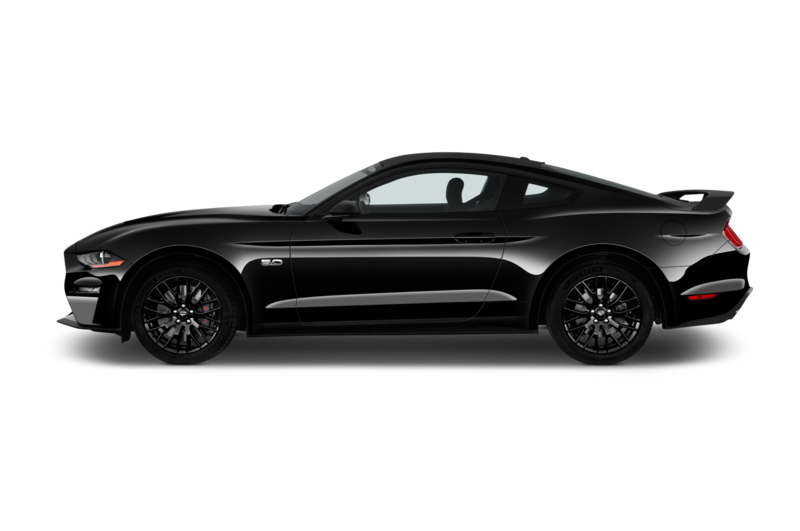 The stock springs, shocks, and anti-roll bars have all been replaced by parts from Ford Performance, and the brakes have been upgraded to Shelby GT350R spec. 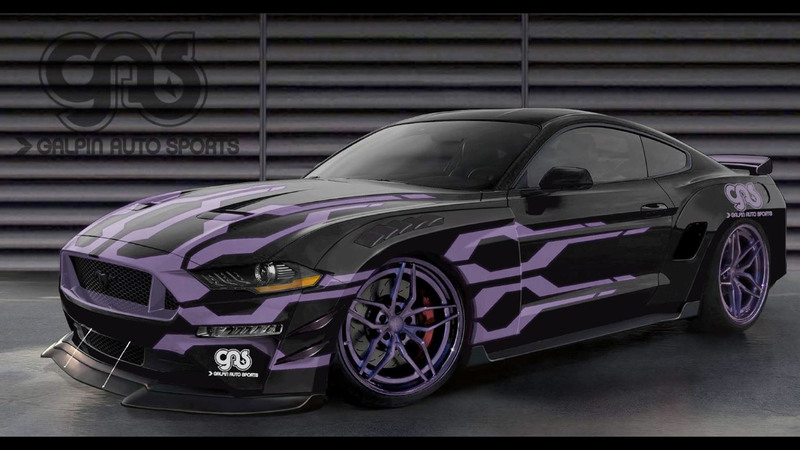 Mustang parts retailer CJ Pony Parts returns to SEMA with a Mustang GT drift car. 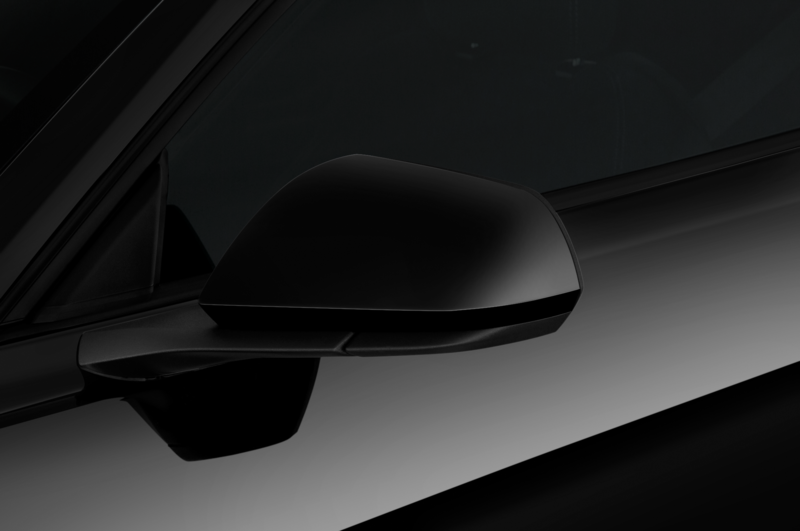 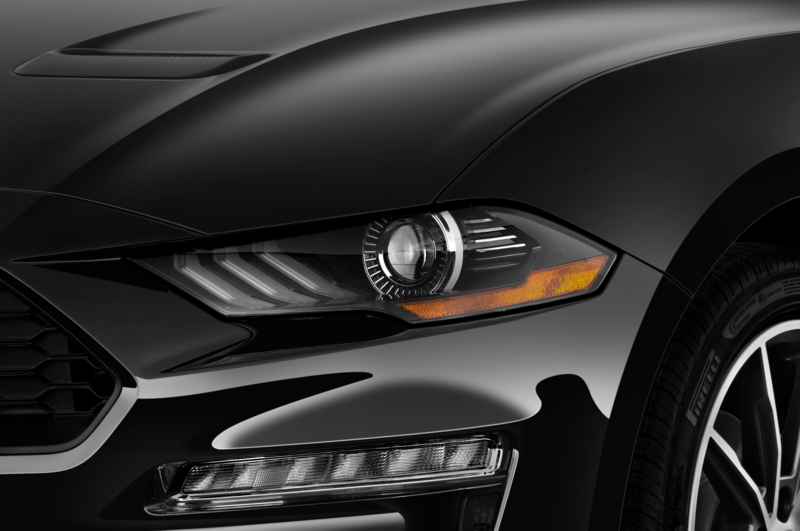 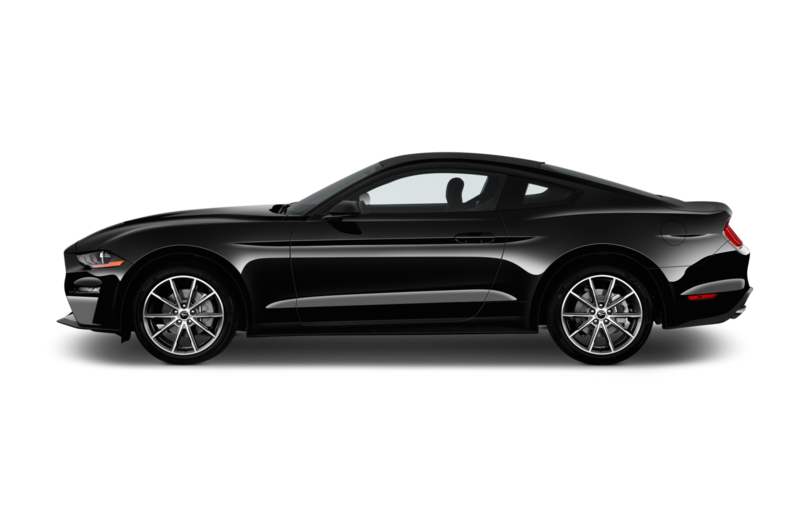 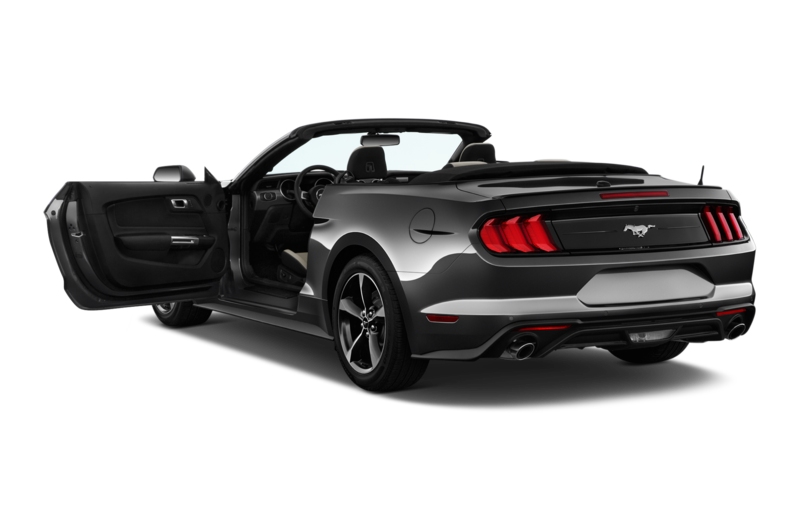 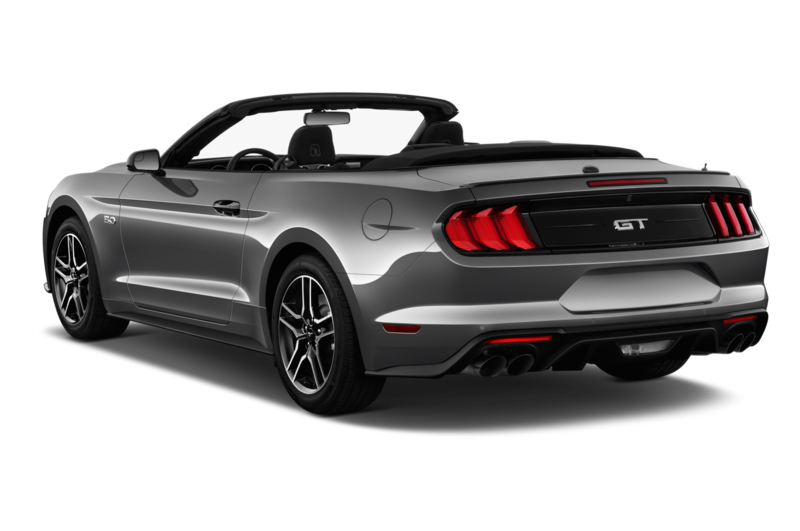 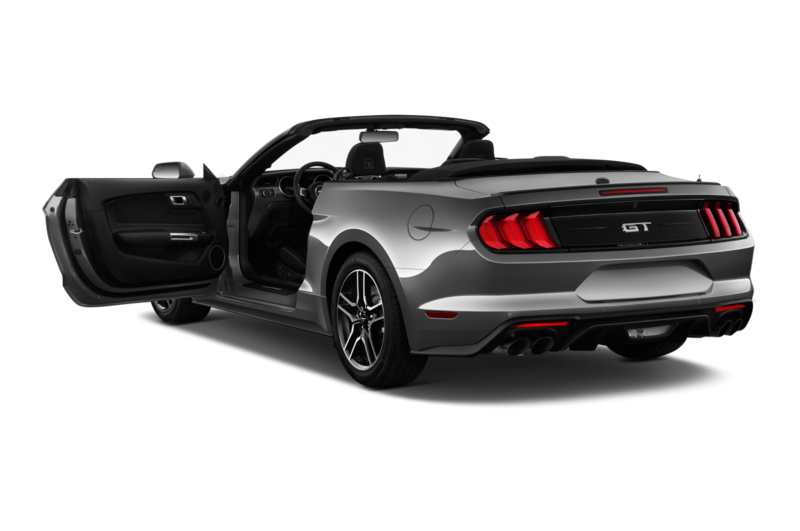 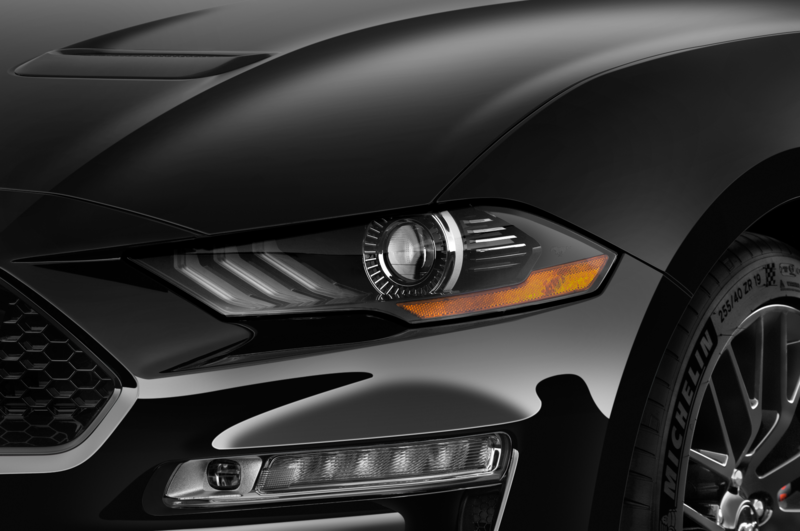 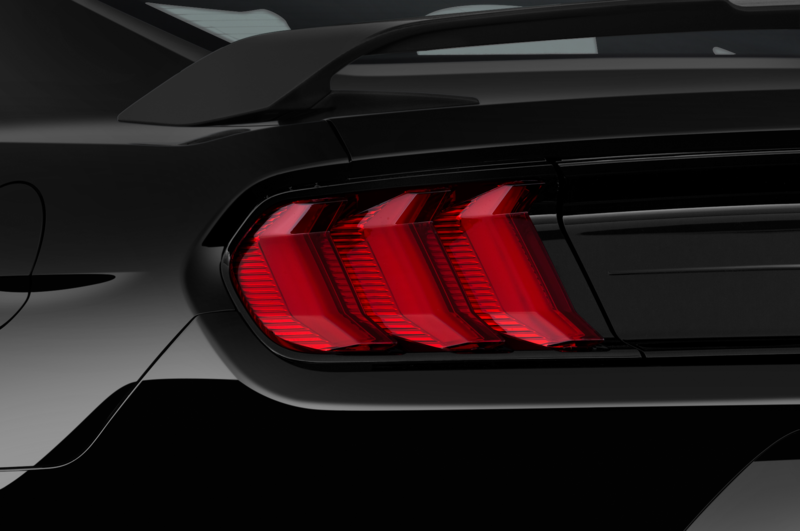 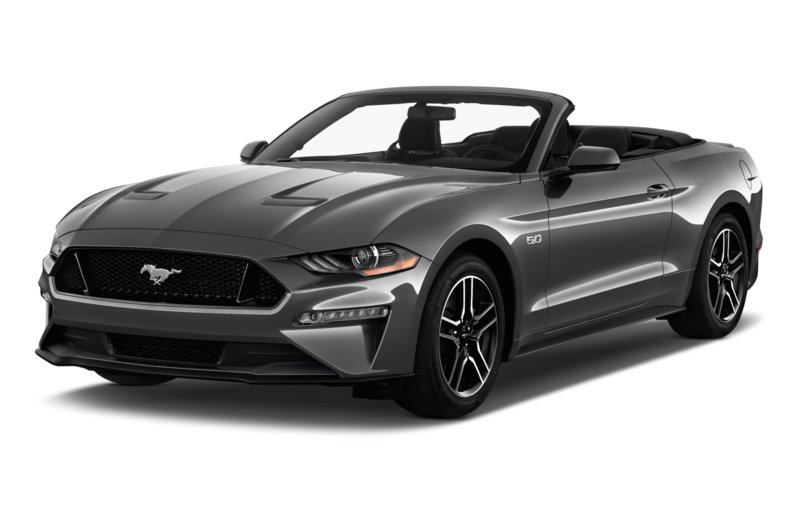 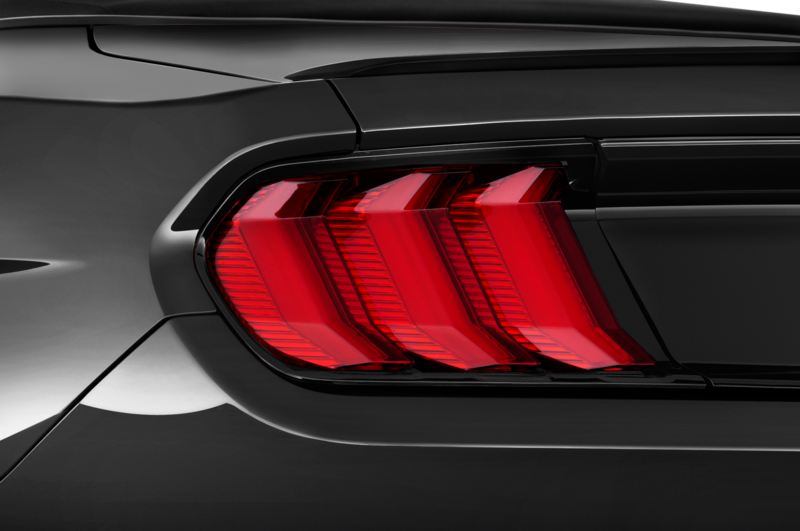 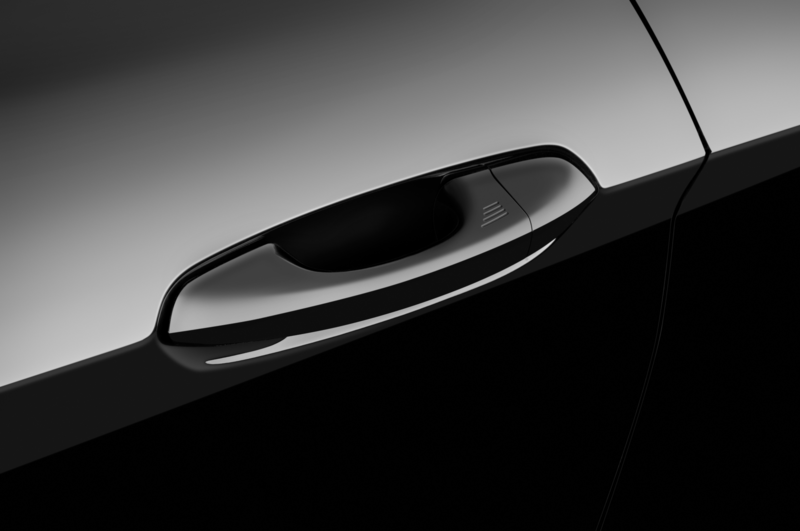 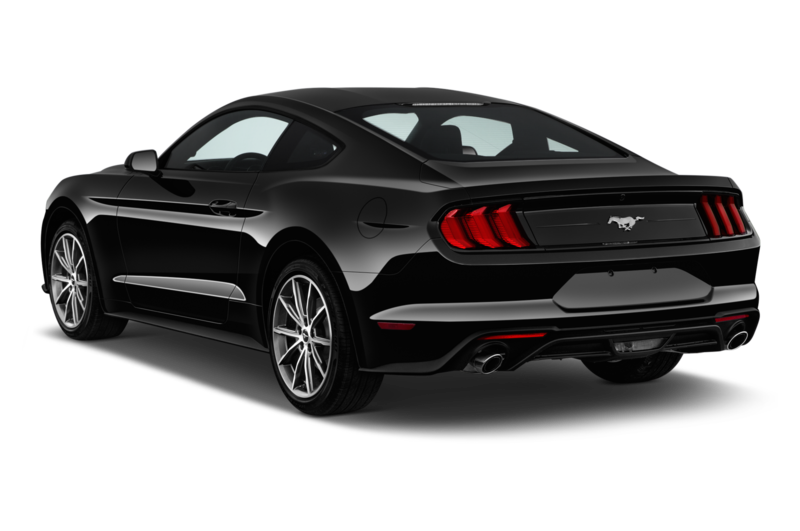 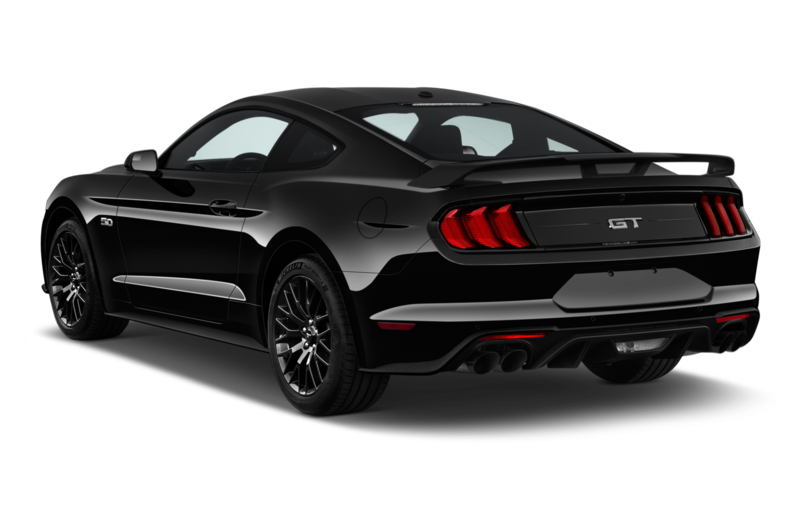 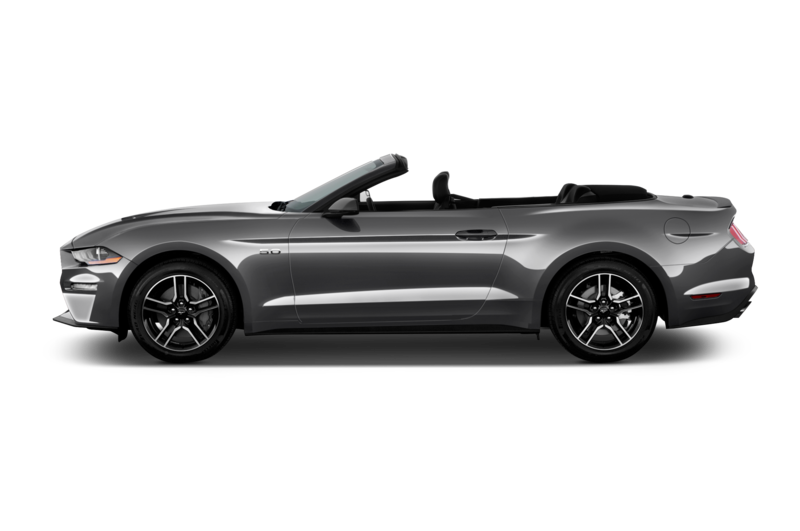 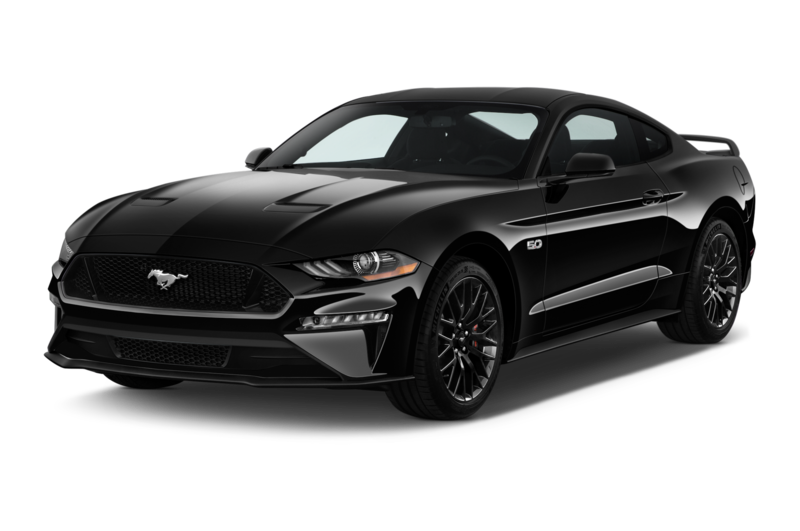 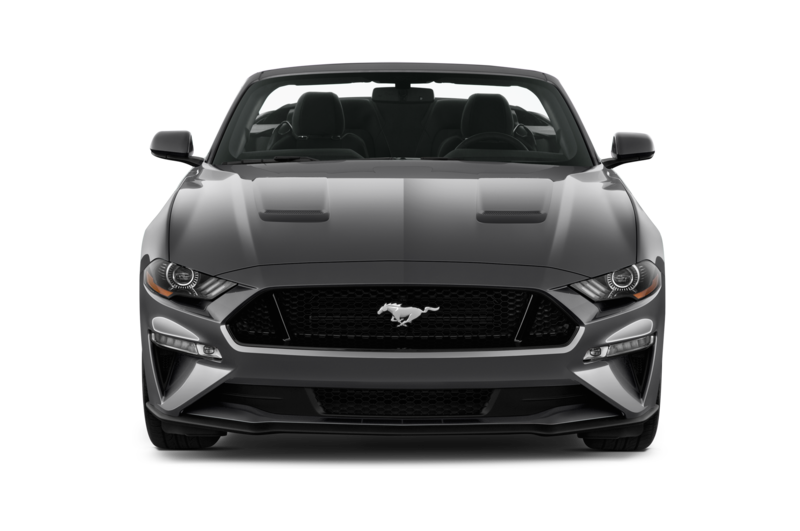 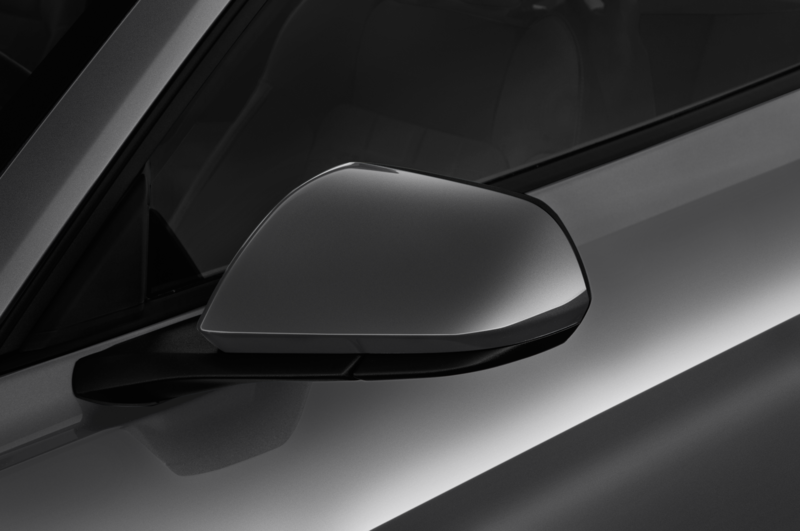 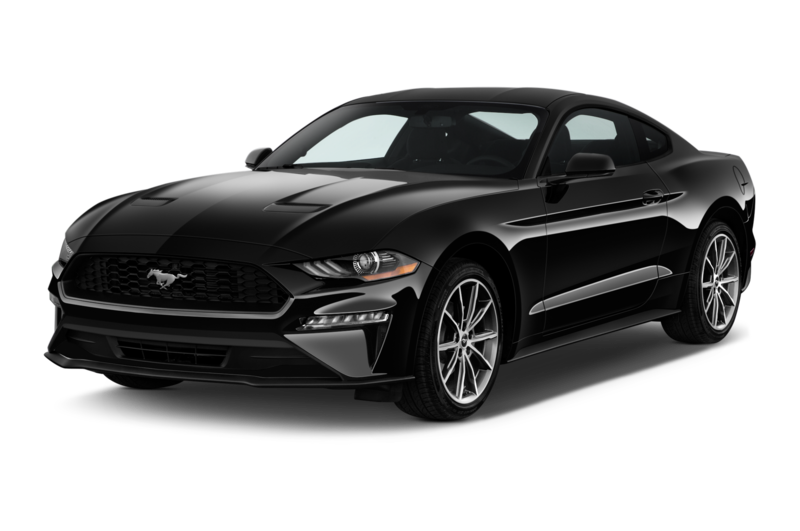 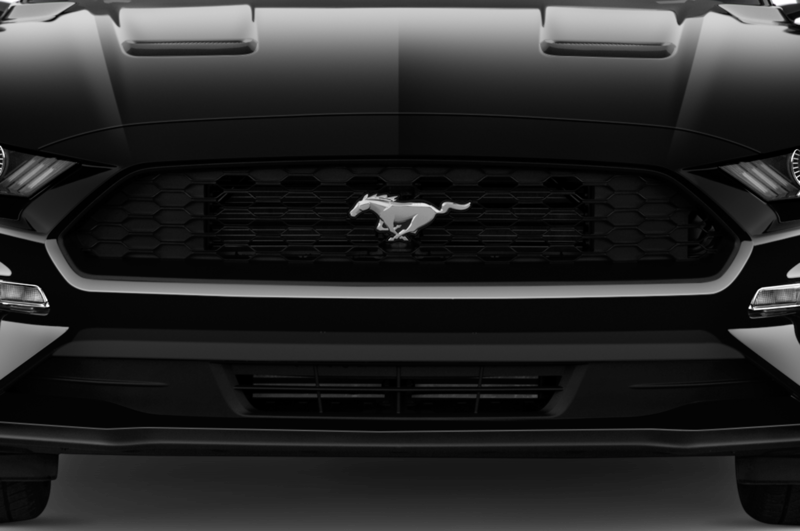 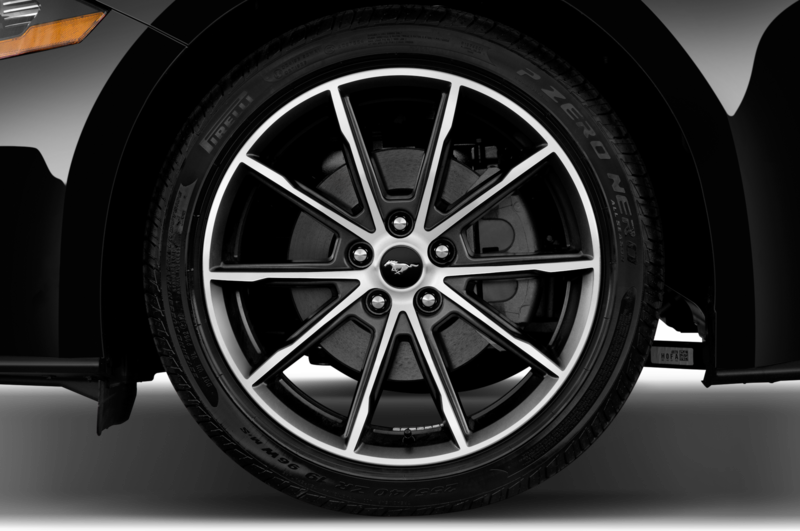 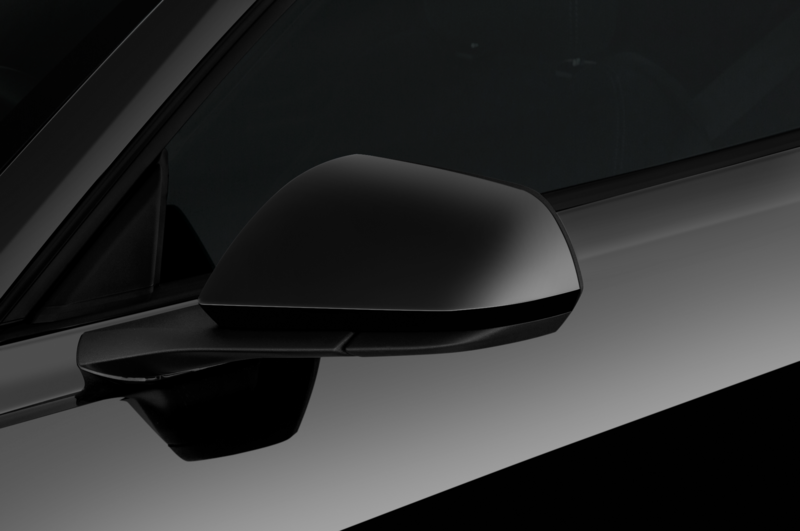 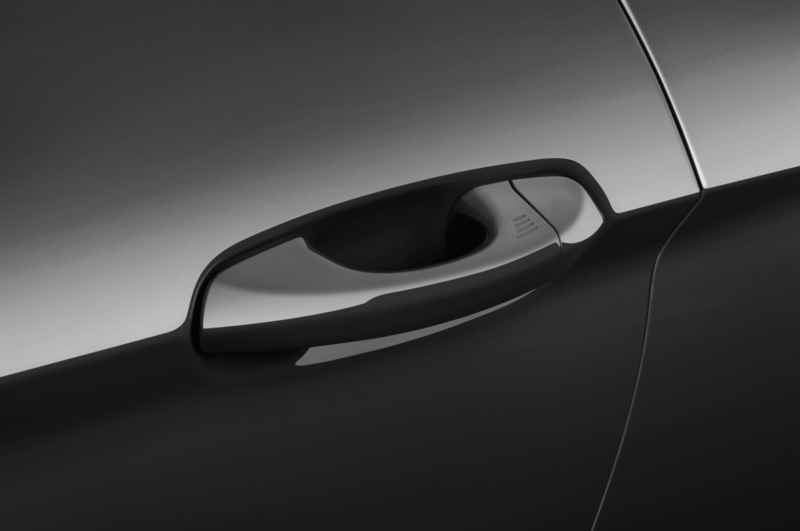 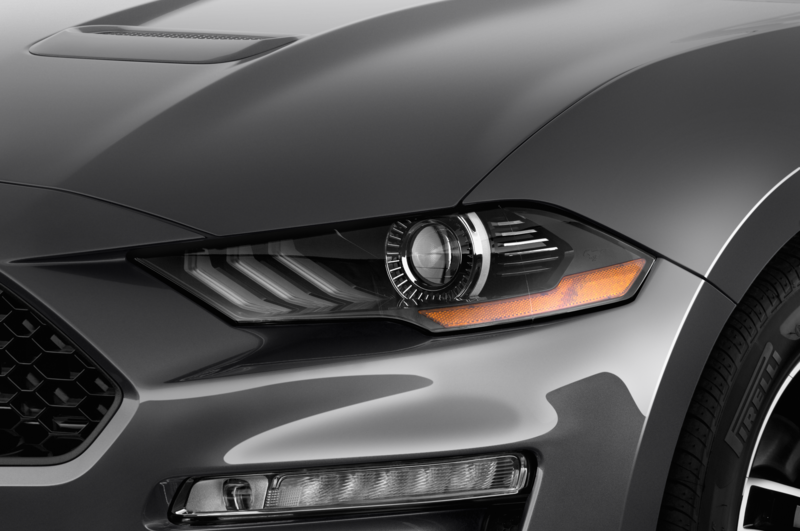 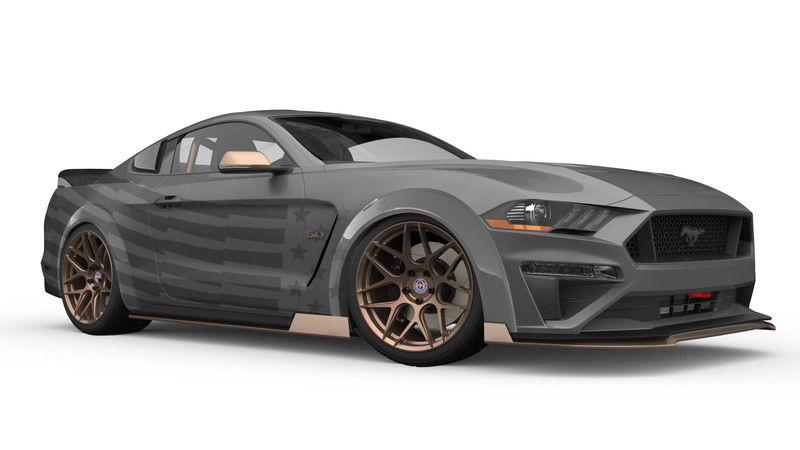 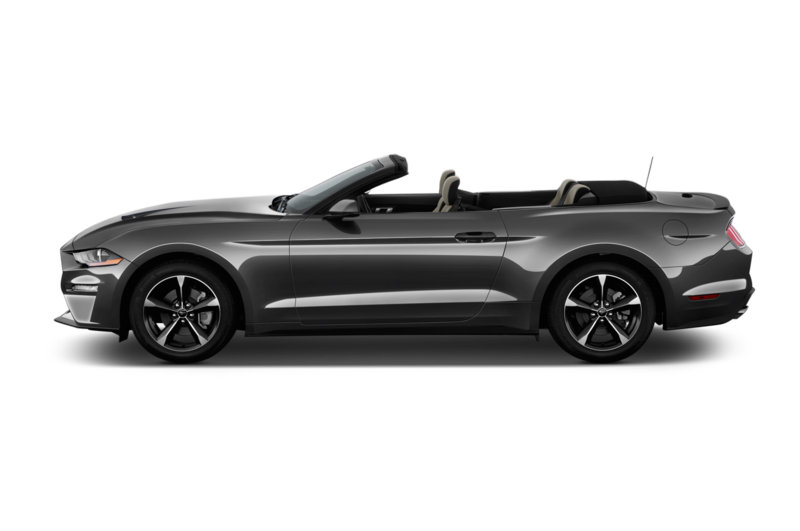 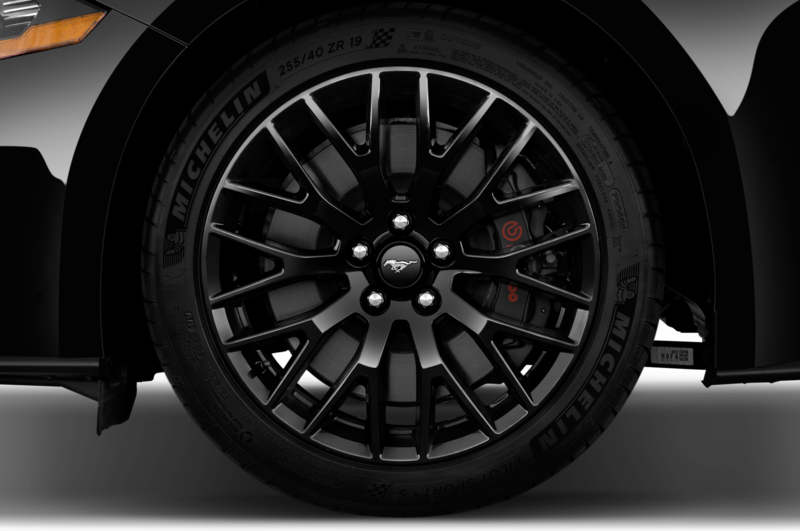 Though it’s hard to see in this rendering, the pony car wears a stars and stripes livery in dark shadow gray, which is contrasted by copper accents. 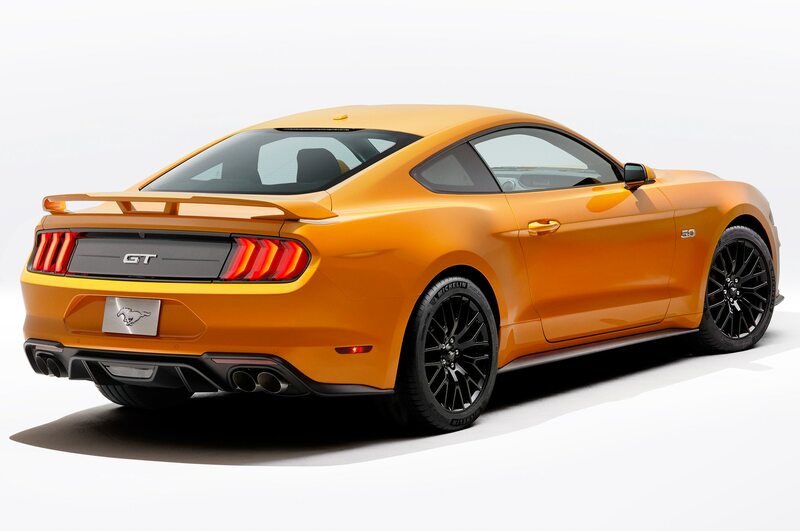 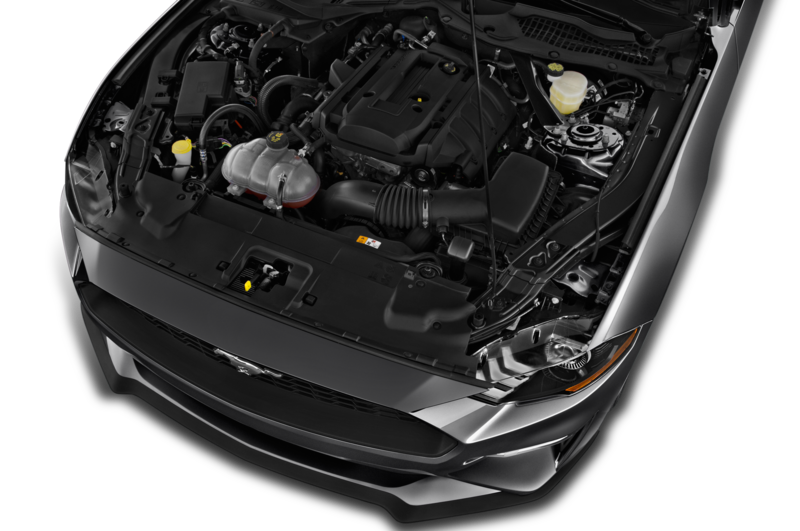 Thanks to a Ford Performance/Roush supercharger, the car’s stock 5.0-liter V-8 has been boosted to more than 700 hp, which should be plenty to break Michelin Pilot Sport 4 S summer tires loose. 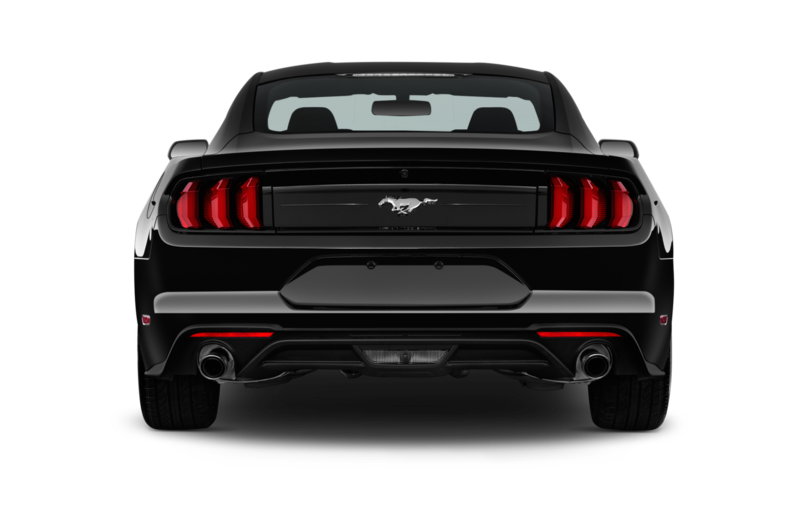 If more persuasion is needed to hang the rear end out, this drift ‘Stang comes equipped with a hydraulic handbrake from Sikky Manufacturing. 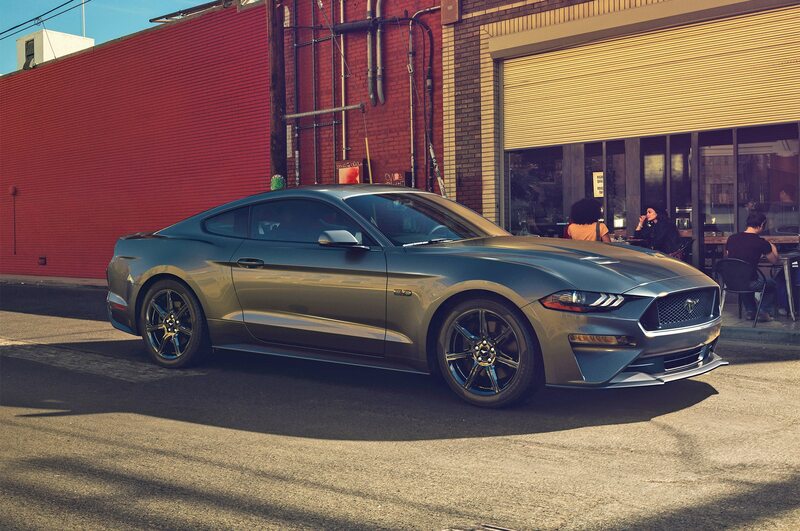 Ford Performance track springs lower the car on 20-inch HRE FF04 wheels finished in copper. 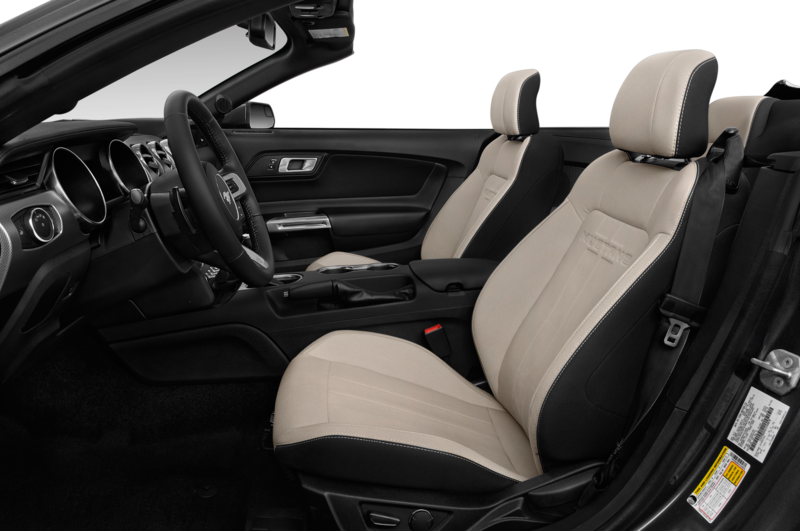 Inside, there’s a Watson Racing roll cage painted to match the rest of the car’s copper accents, along with Recaro seats and Corbeau five-point harnesses. 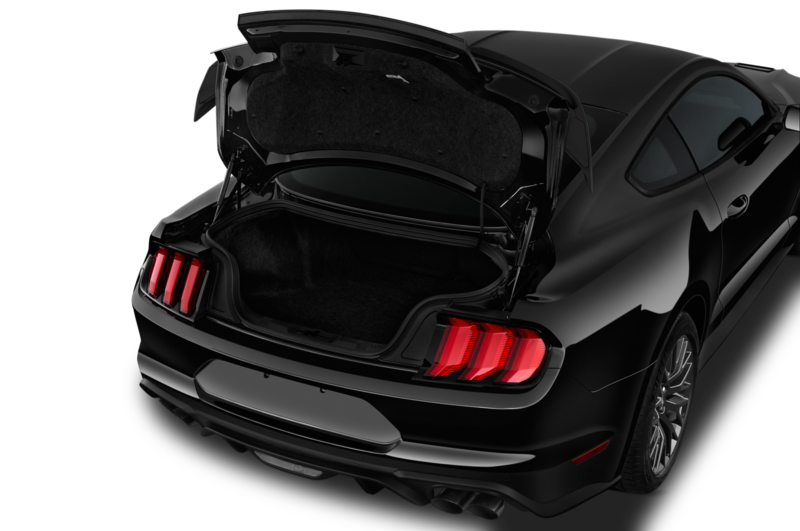 Yet another Mustang GT with a Ford Performance/Roush supercharger, this build from CGS Motorsports is ready for Halloween with its dark exterior theme and blood red accents. 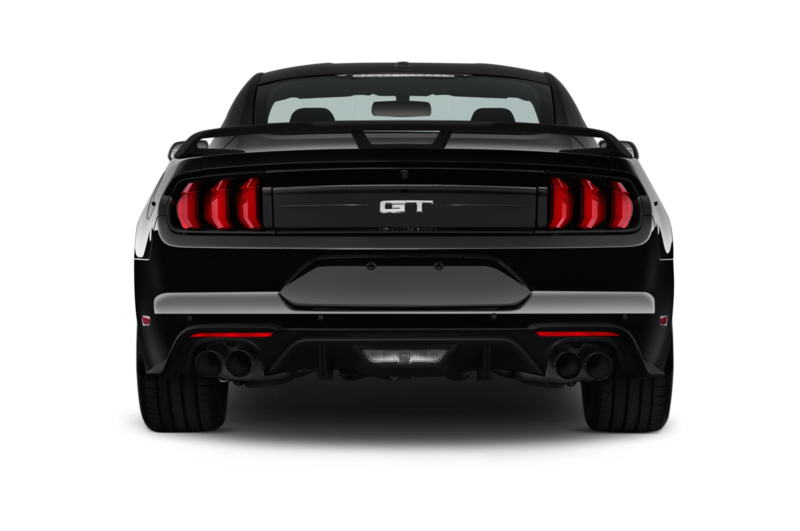 The GT wears a custom wide-body kit from TS Designs, a rear spoiler and hood vents from Air Design, LED undercar lighting from Rigid Industries, and a staggered set of Savini forged wheels measuring 22 x 9.5 inches in the front and 22 x 13 in the rear. 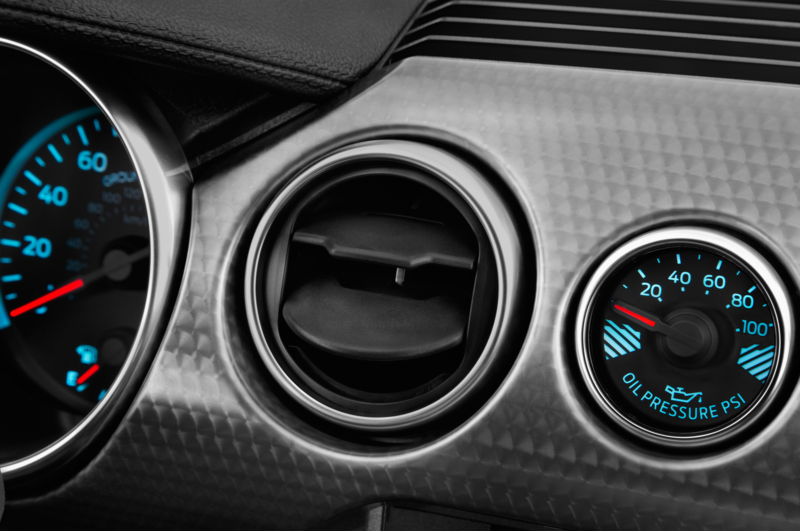 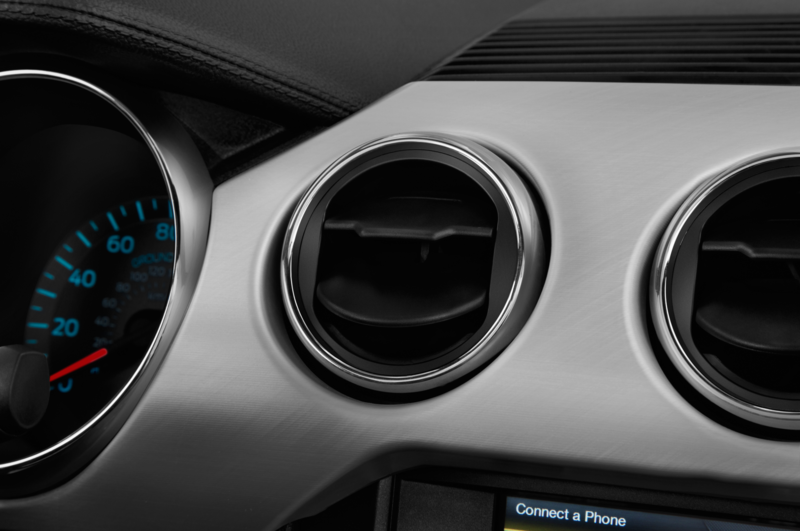 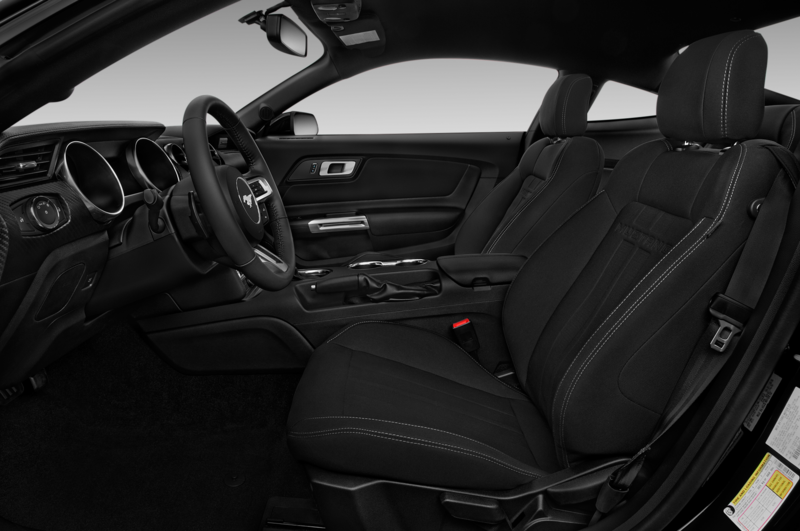 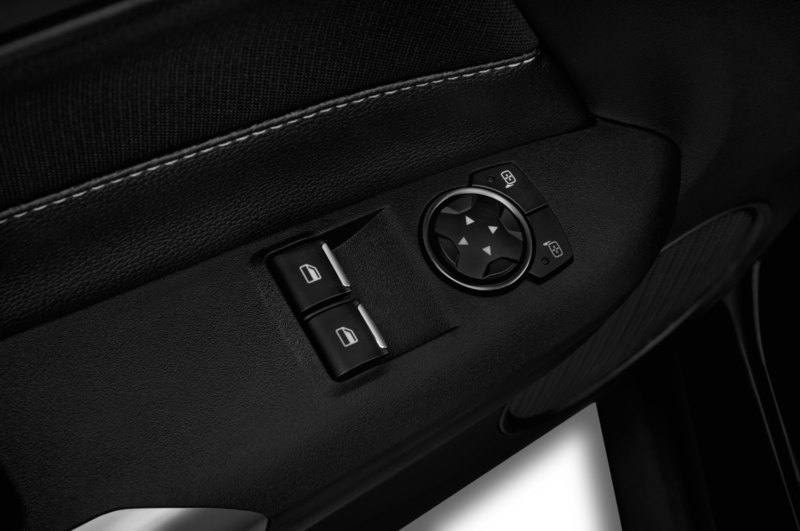 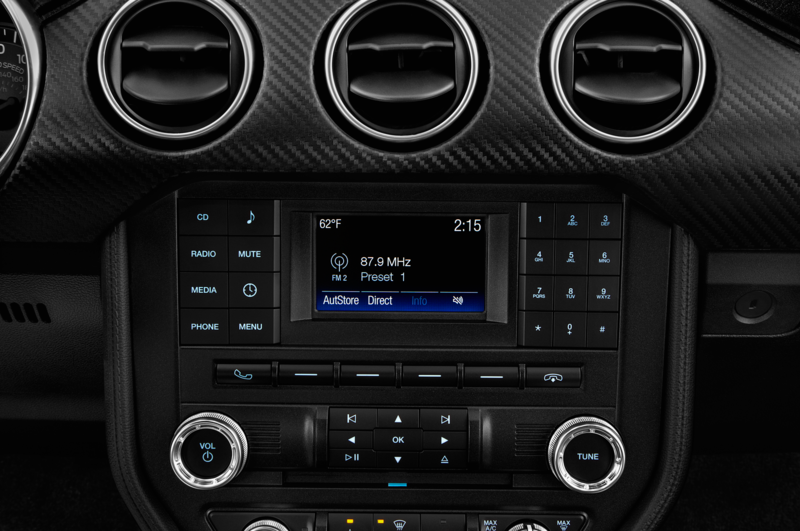 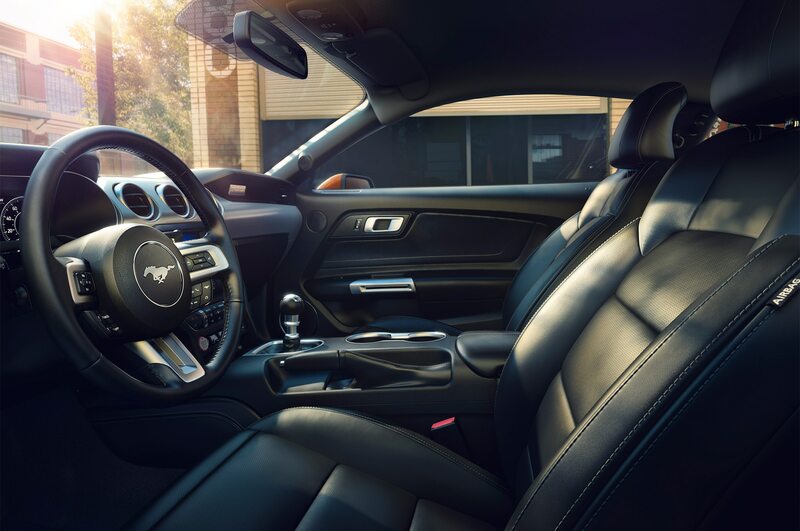 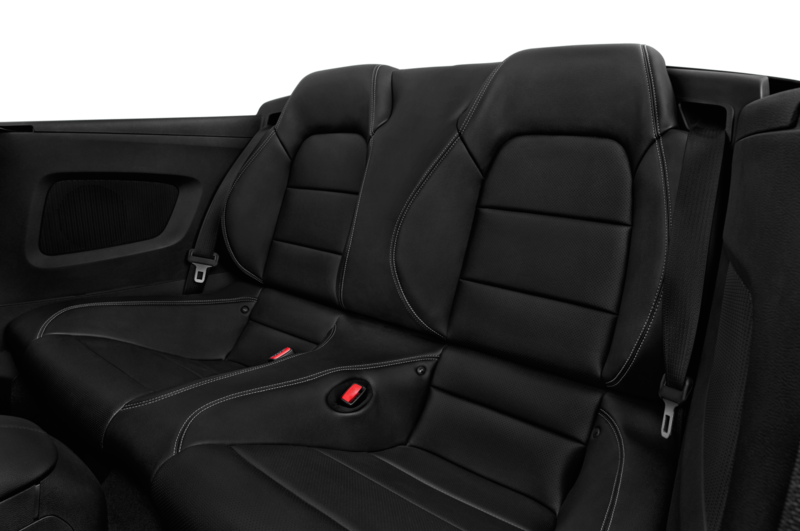 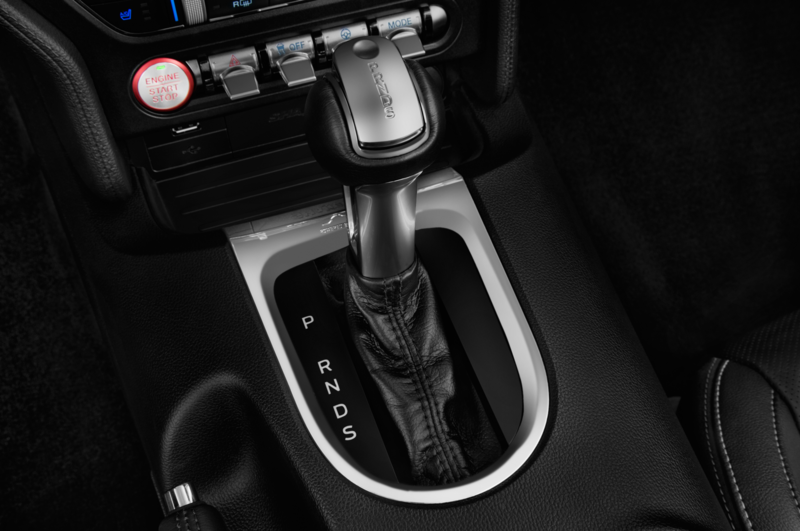 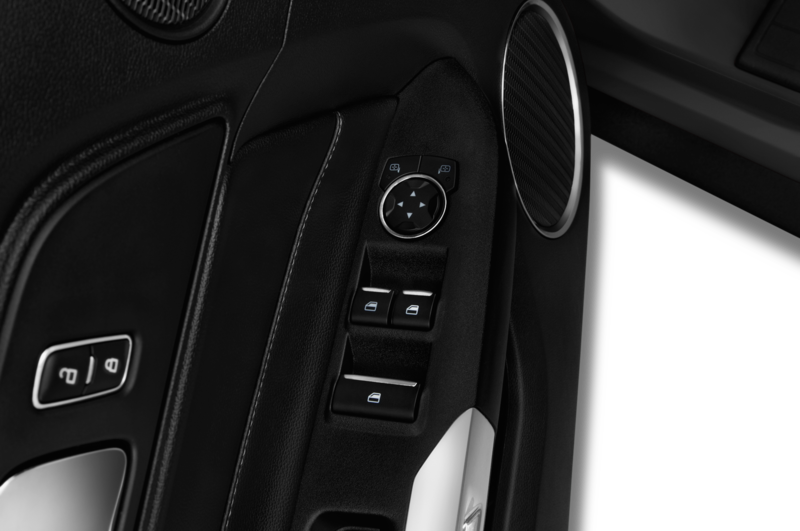 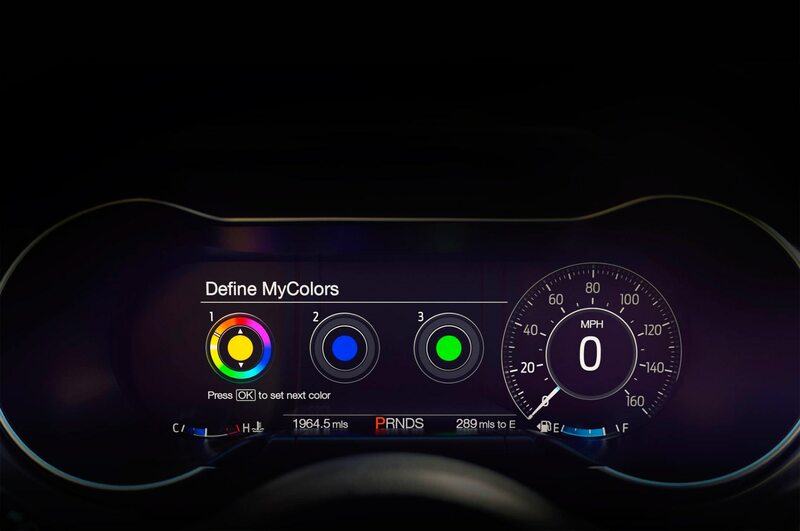 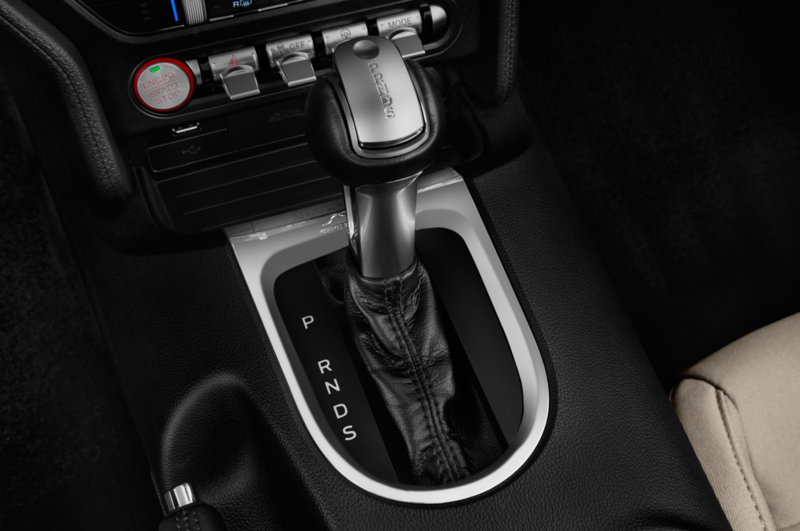 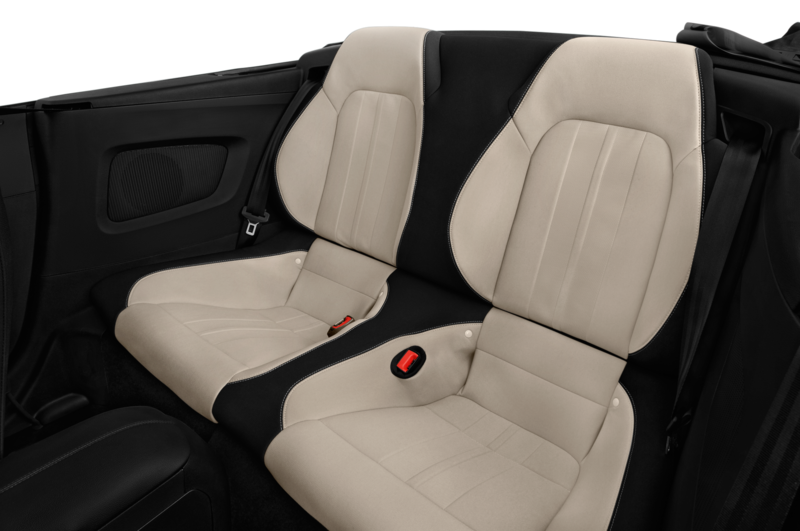 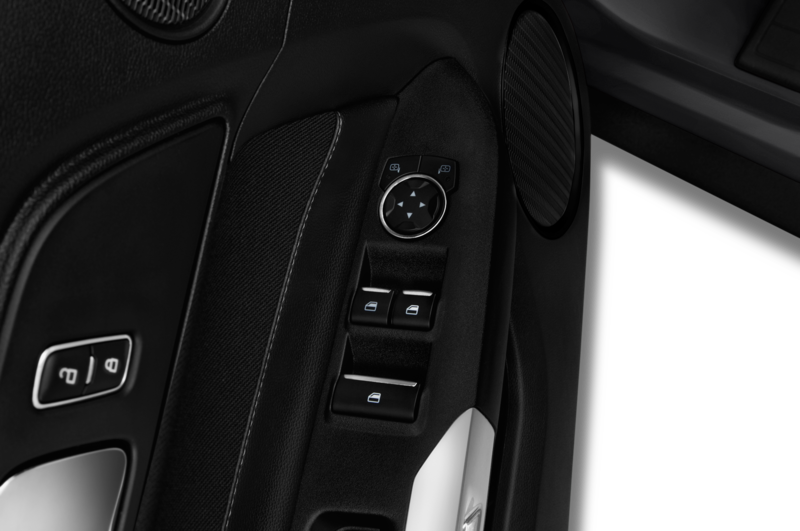 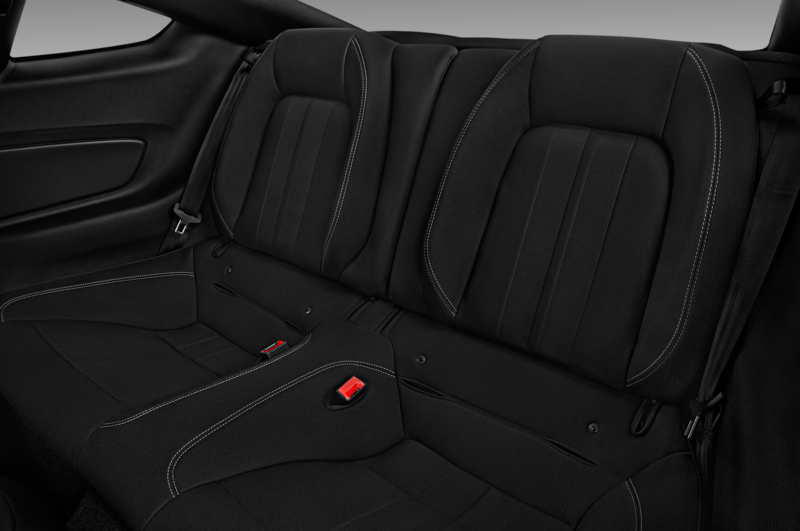 Inside, you’ll find Napa leather upholstery and LED lighting by Diode Dynamics. 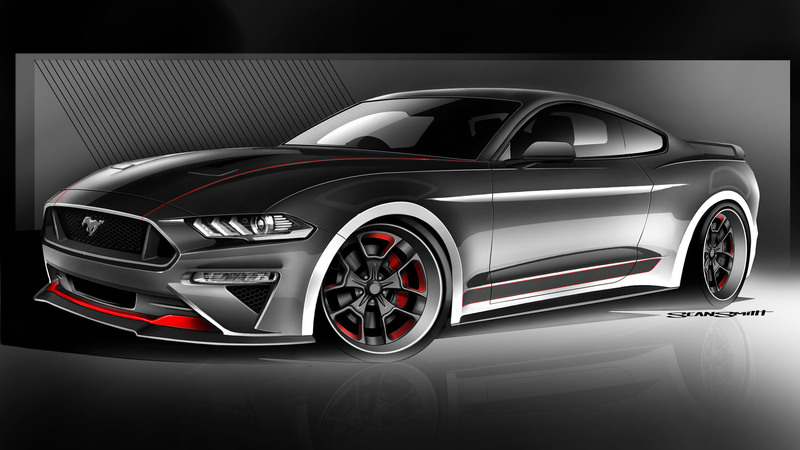 SEMA Show veteran Tjin Edition chose the turbocharged 2.3-liter EcoBoost Mustang over the 5.0-liter GT for its build this year. 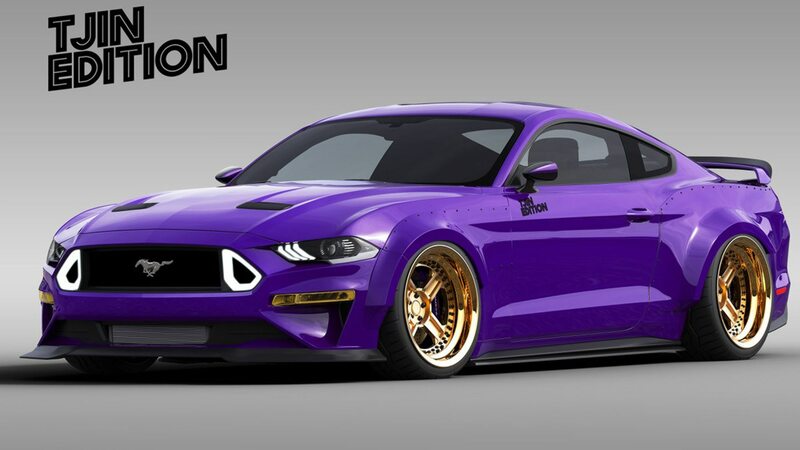 Finished in a custom Electric Purple paint by PPG, the four-cylinder Mustang also sports an RTR body kit, custom wide-body fenders with exposed rivets, yellow fog lamps, and a staggered set of gold Forgeline center-lock wheels measuring 20 x 10.5 in front and 20 x 13 in the back. 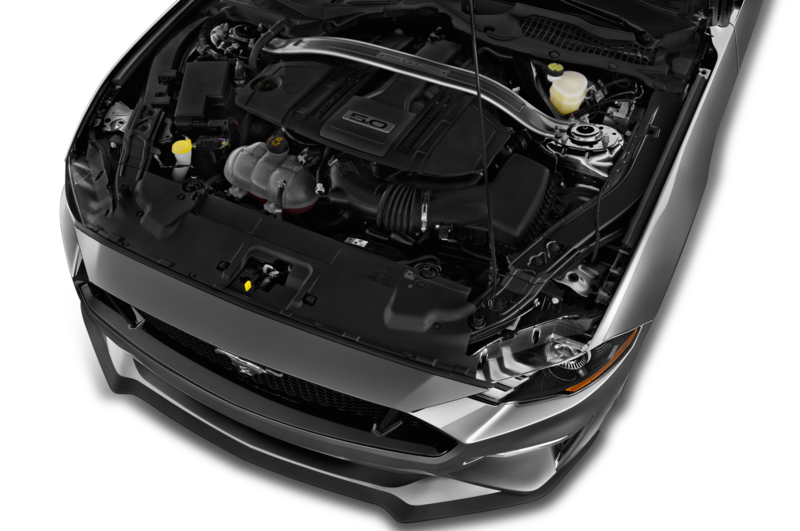 The engine gets an upgraded turbocharger from BorgWarner along with racing-spec replacements for the exhaust manifold, downpipe, intercooler, and charge pipes. 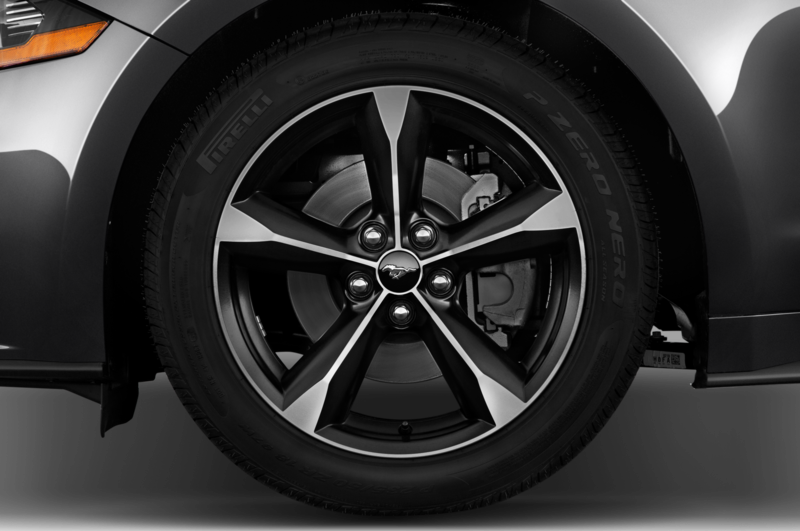 The car rides on an adjustable Air Lift 3H suspension and gets a Baer Grizzly big brake upgrade in front. 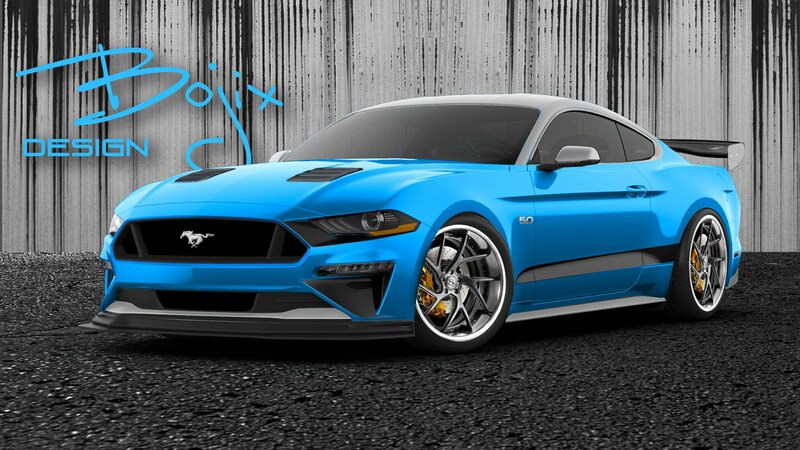 This Mustang GT by Bojix Design should help brighten up Ford’s SEMA booth with its two-tone blue and gray paint scheme. 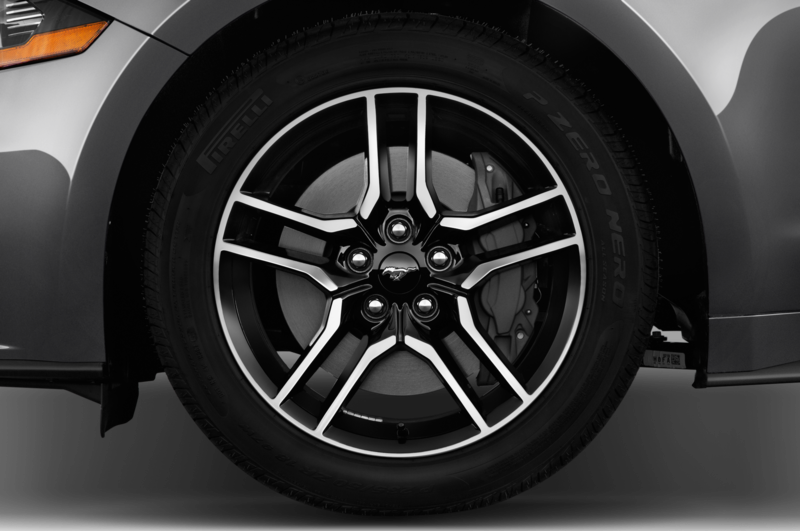 Using Ford Performance springs and shocks, the car is lowered on Savini SV67 wheels that measure 20 x 10 up front and 20 x 11.5 in the rear. 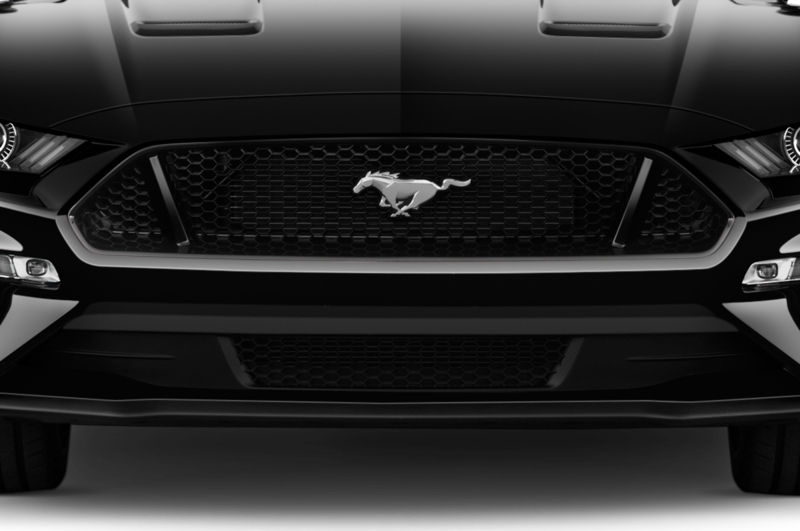 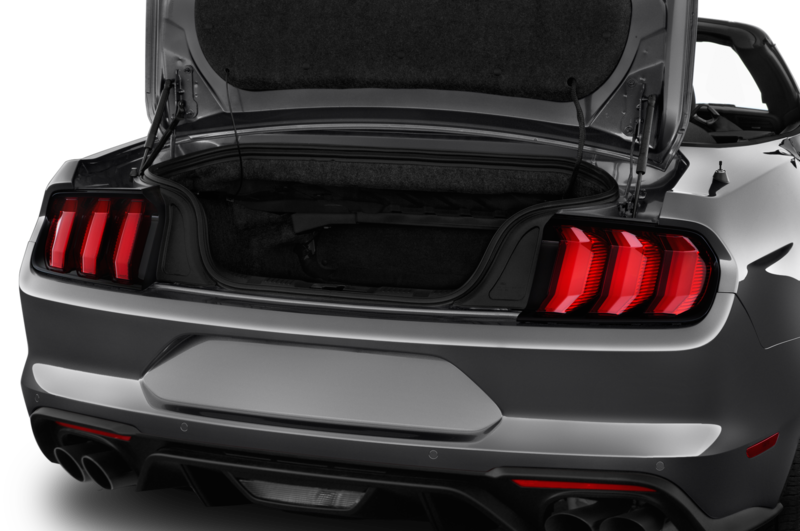 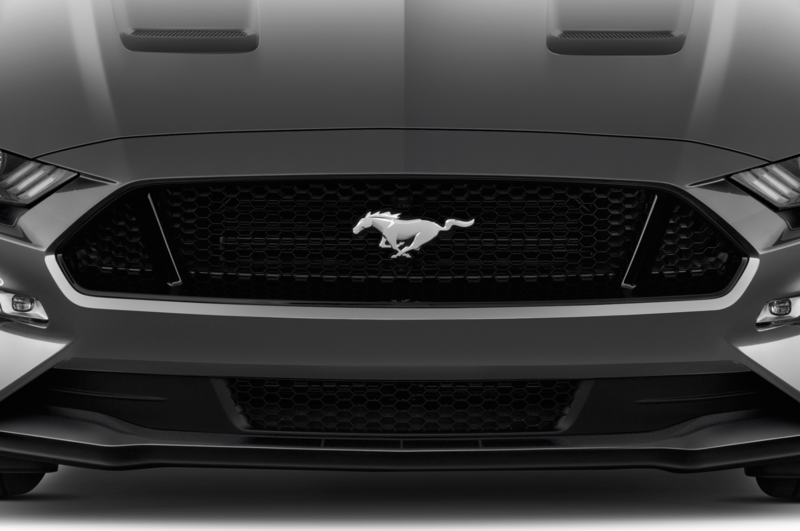 The custom pony car also gets an APR carbon-fiber front splitter and rear wing, custom lower front grille, and a front bumper, side skirts, and hood vents from Air Design. 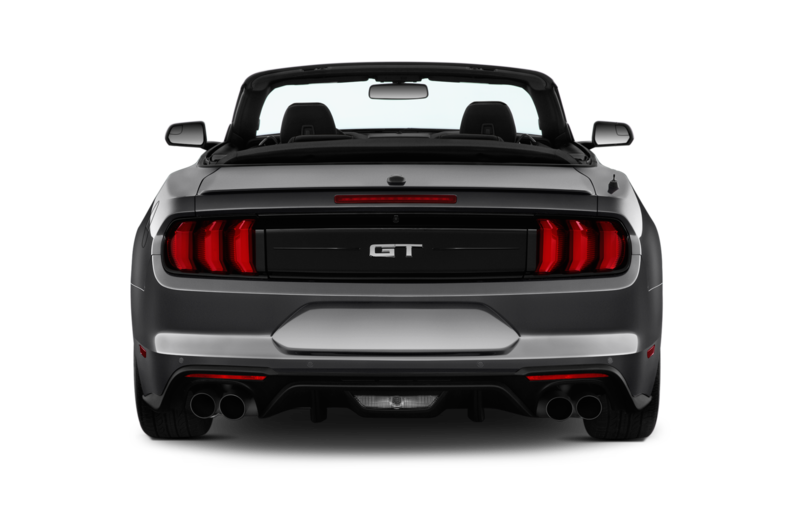 Not to be outdone by the other blown GTs on this list, Bojix Design installed a Procharger Stage 2 supercharger and a custom “supercar” exhaust with Borla mufflers. 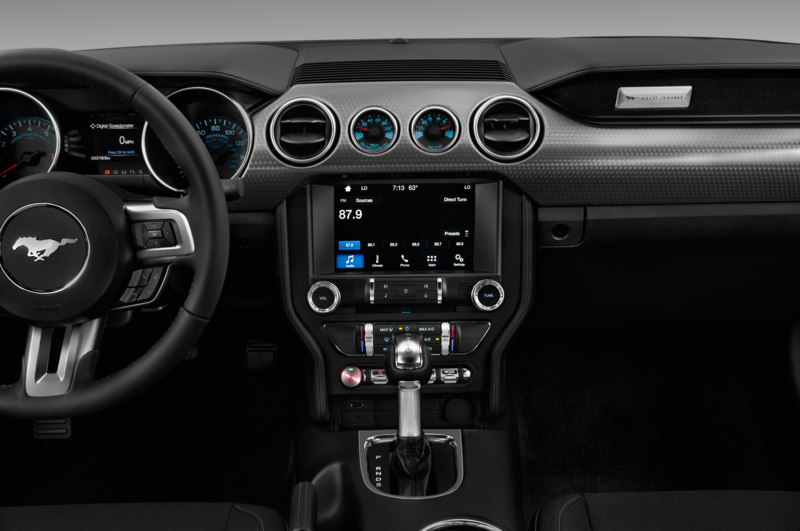 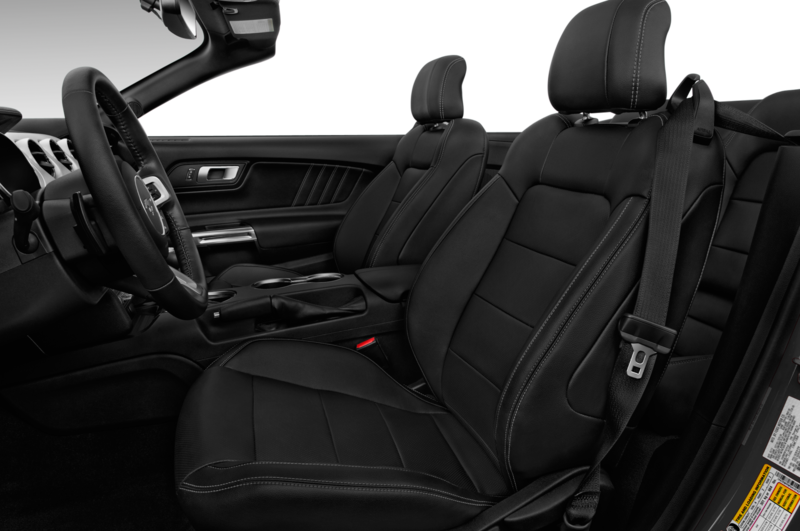 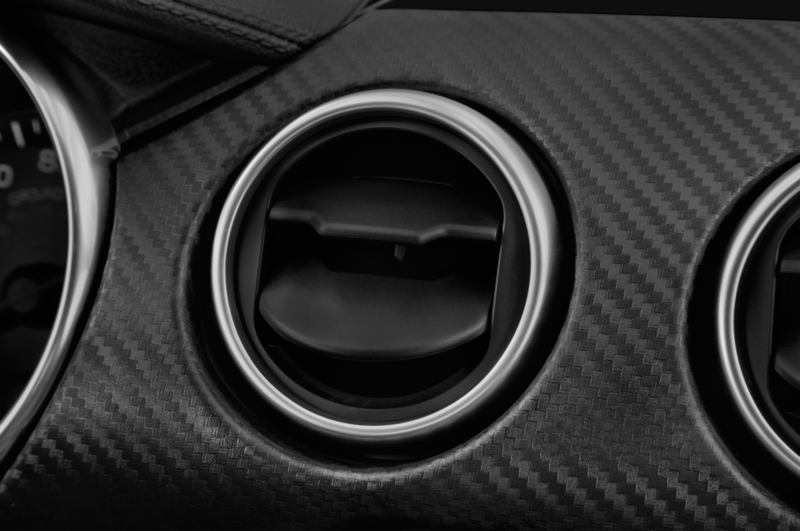 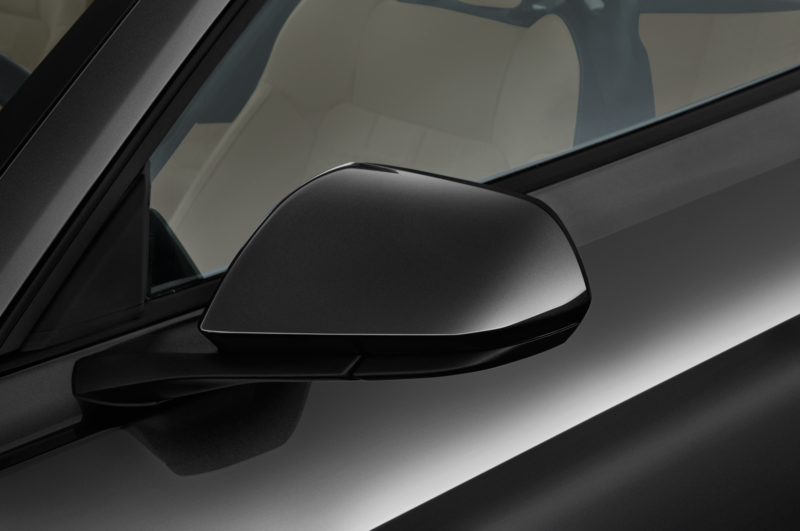 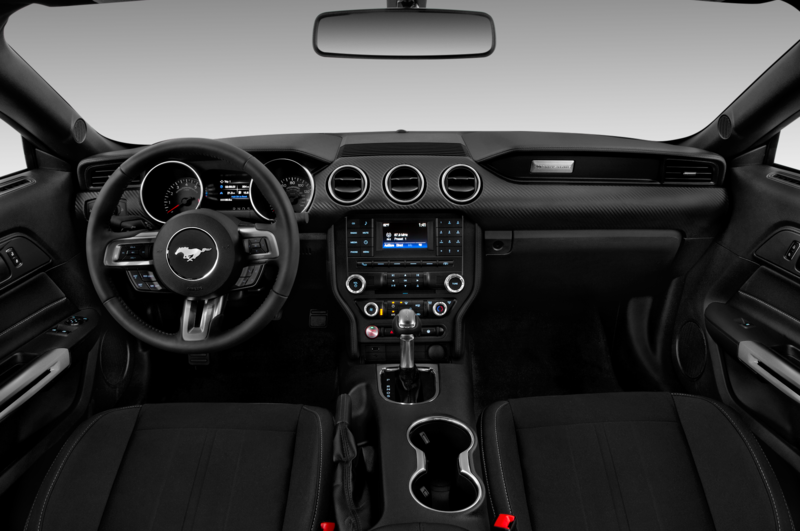 Inside, you’ll find Recaro Sportster CR seats upholstered in black leather with black stitching, a deleted rear seat, and a Kicker stereo system with 10-inch Solo-Baric L7 subwoofers. 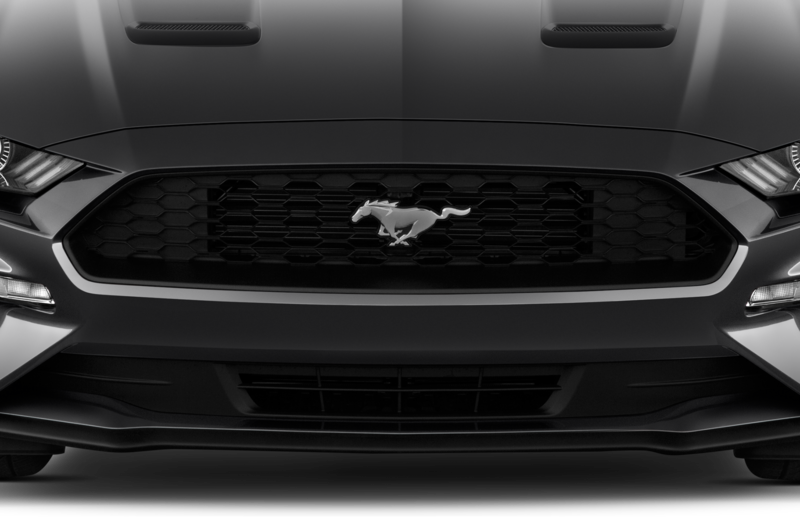 Ford should release details on the other custom rides it will feature in its booth over the coming weeks, so stay tuned.